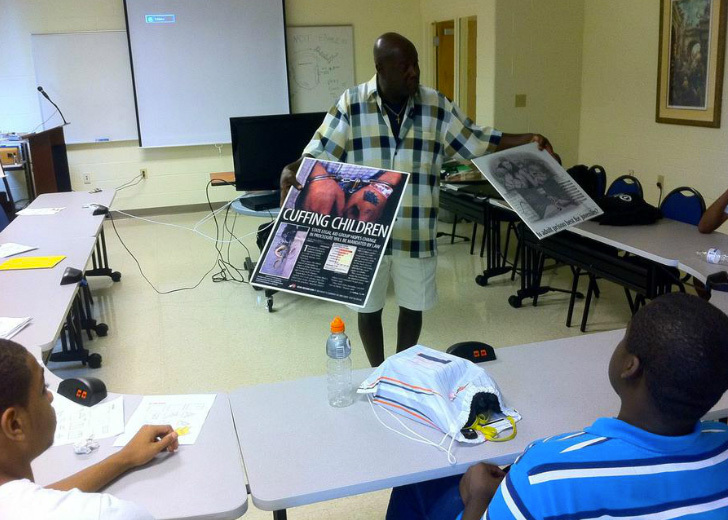 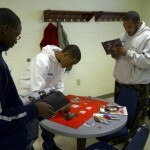 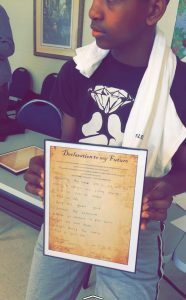 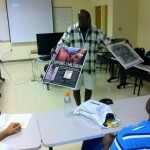 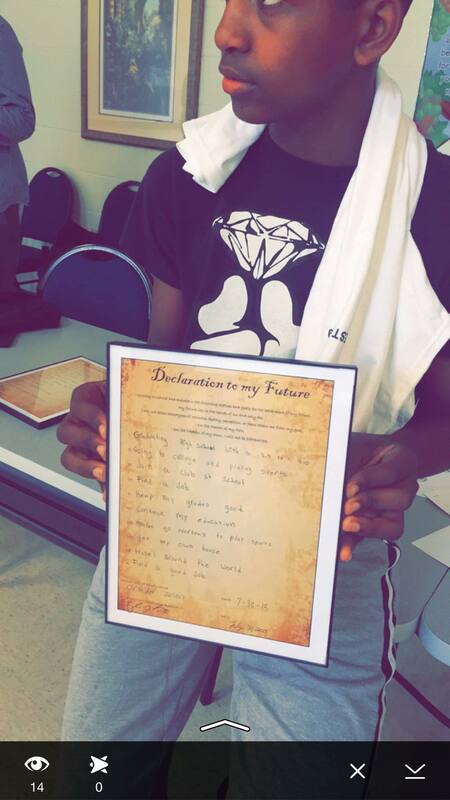 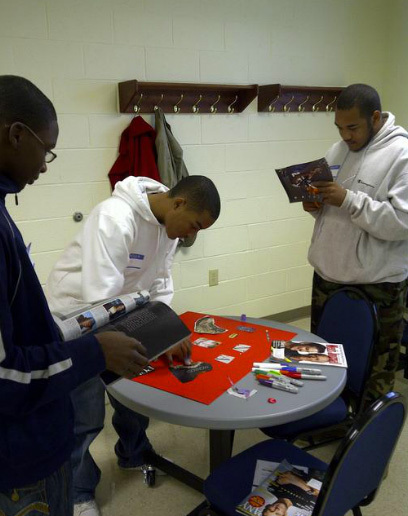 Vision board workshop for the students. 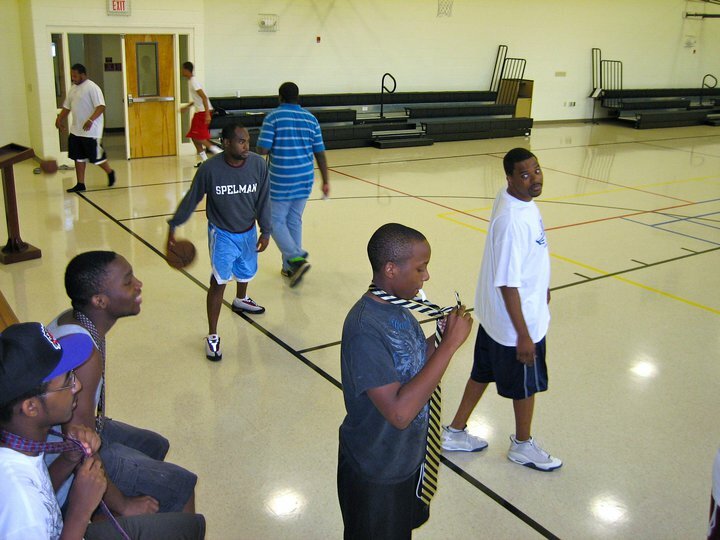 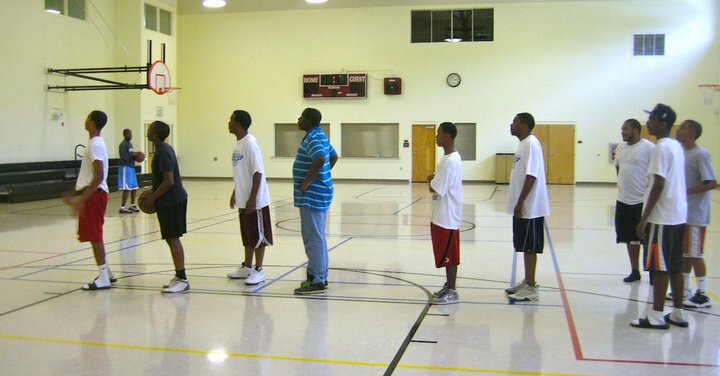 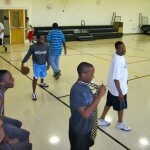 Each Saturday the students play some kind of game in the gym that is always fun. 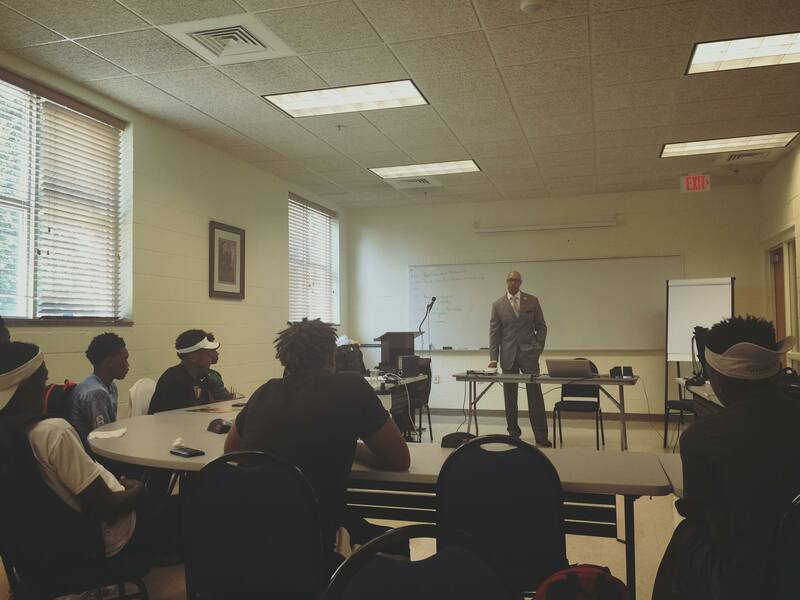 Guest speaker John Rich from Oppenheimer speaking to the students about wealth management. 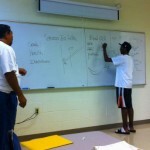 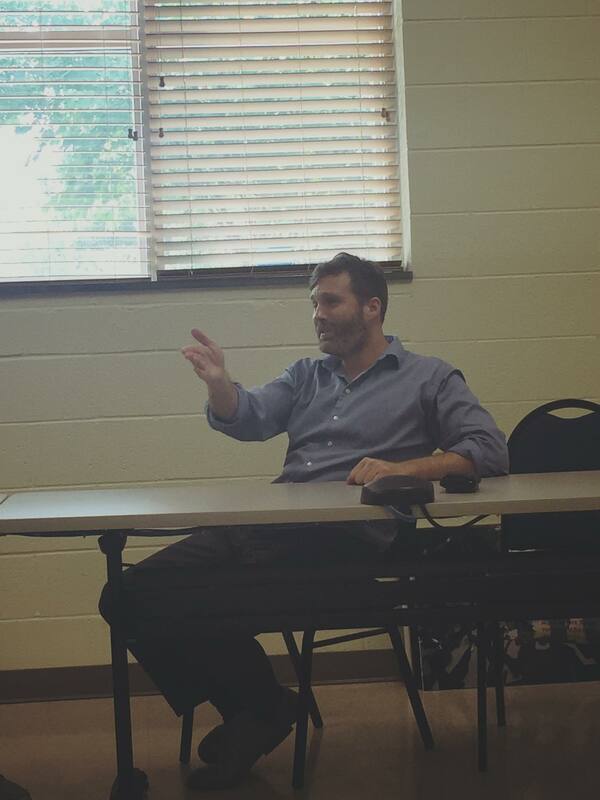 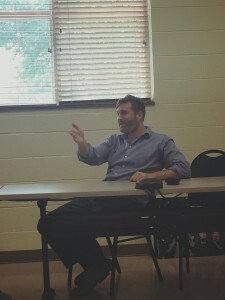 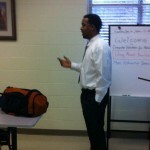 Guest speaker Steve Allen came to speak to the students about Real Estate. 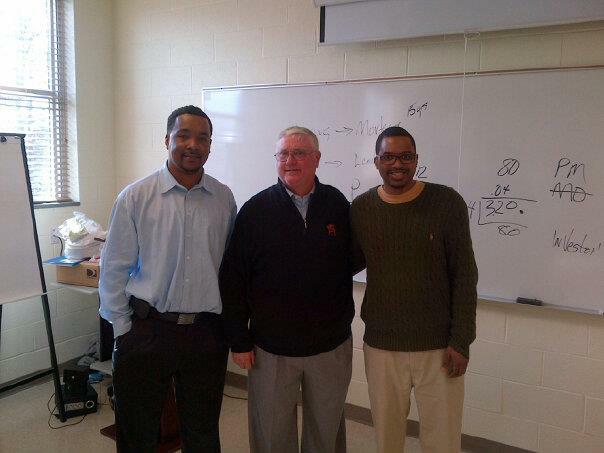 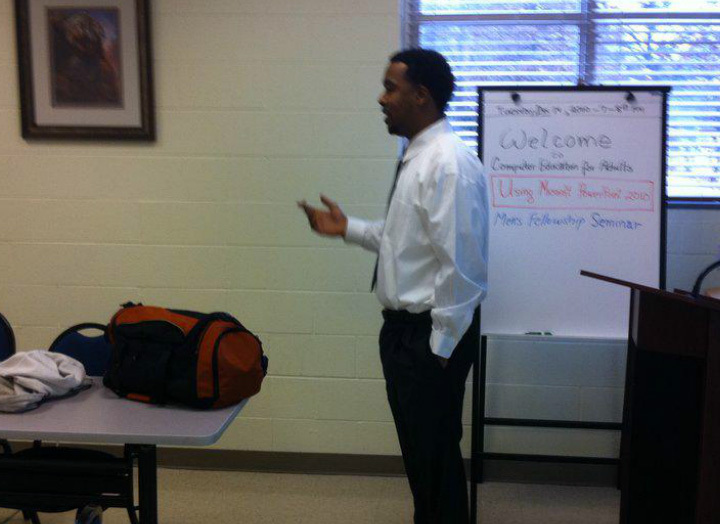 Guest speaker George Galbreath spoke to the students about making good decisions early in life. Gerard Truesdale speaking tot he students. 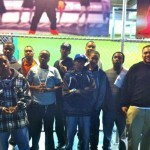 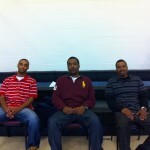 CrossroadsPTS went to the Charlotte Bobcats vs. Miami Heat game. 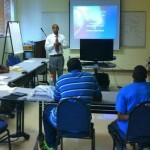 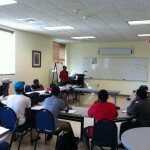 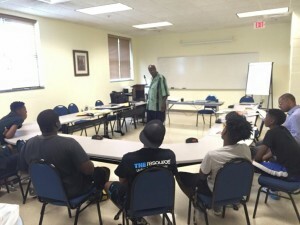 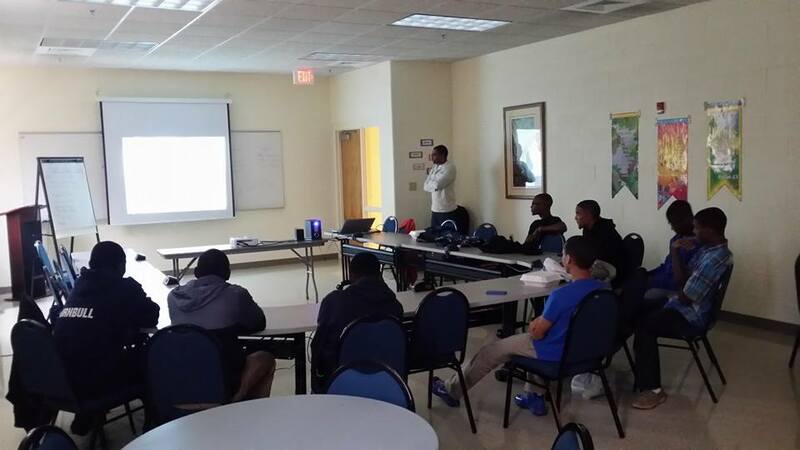 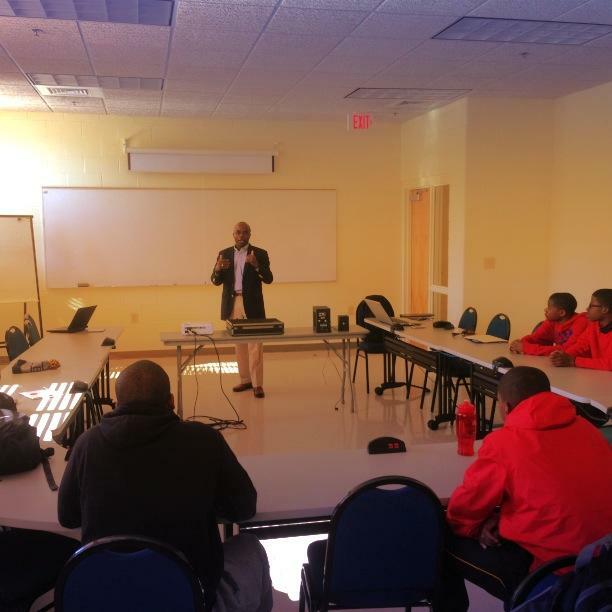 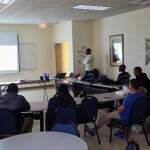 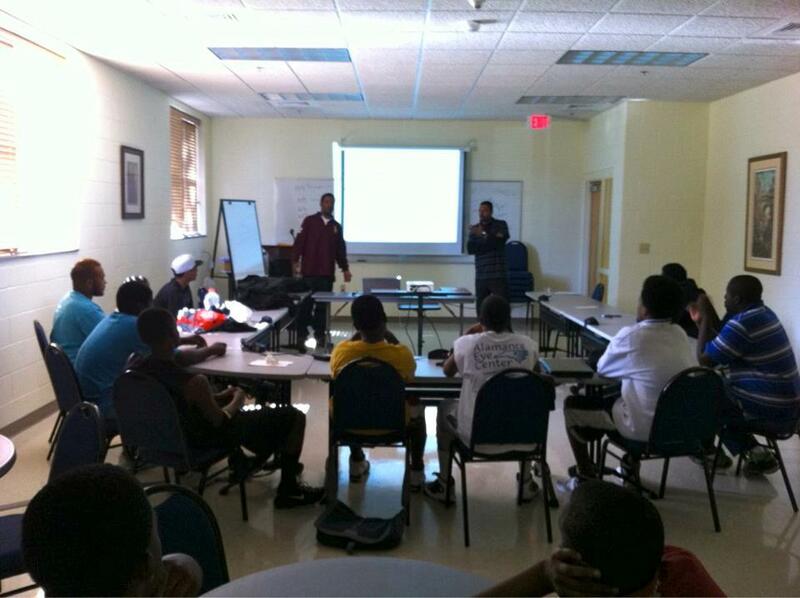 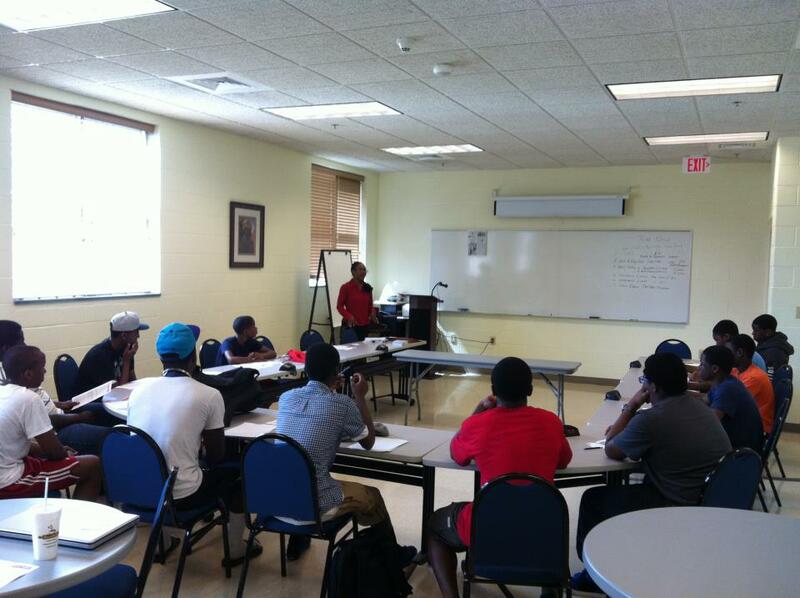 Guest speaker Dr.Gerald Truesdale speaking to the students about men’s health. 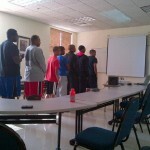 Students ready for a Saturday workshop. 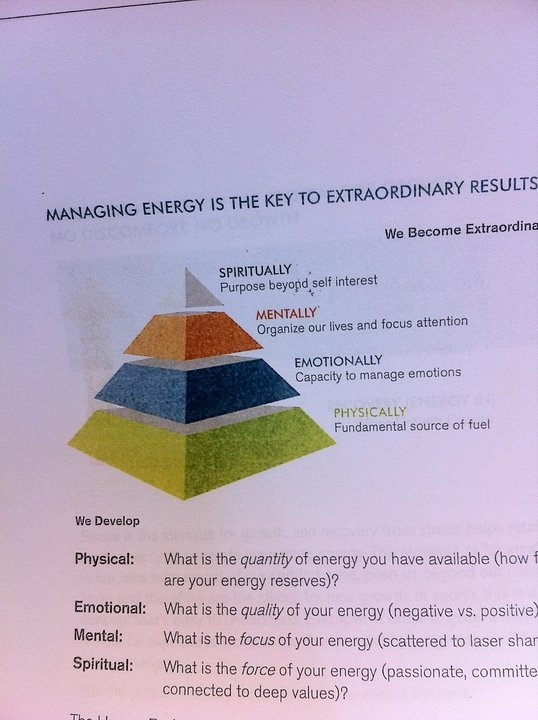 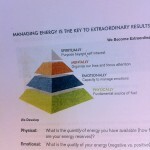 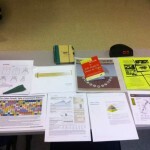 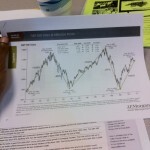 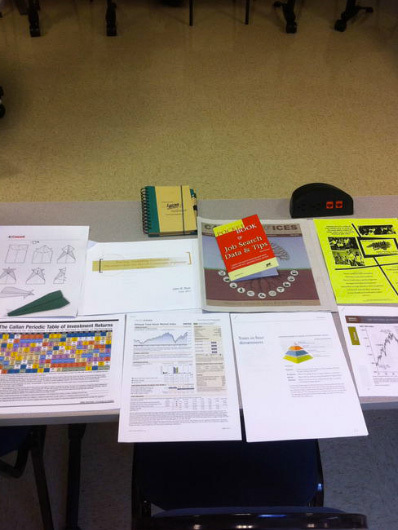 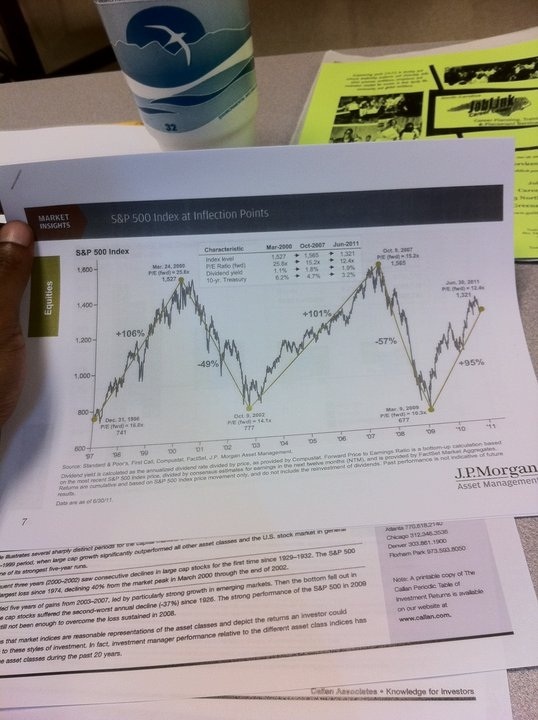 Material on investing brought by guest speaker John Rich. 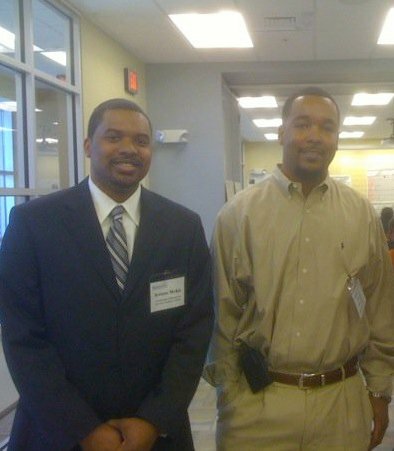 Arturo Mckie and Gerard Truesdale. 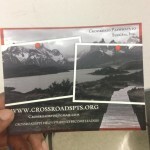 Founders of CrossroadsPTS. 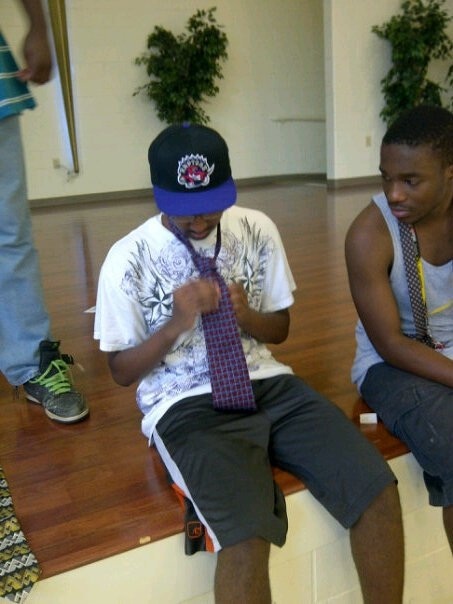 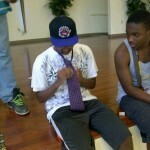 Crossroads students learning how to tie ties. 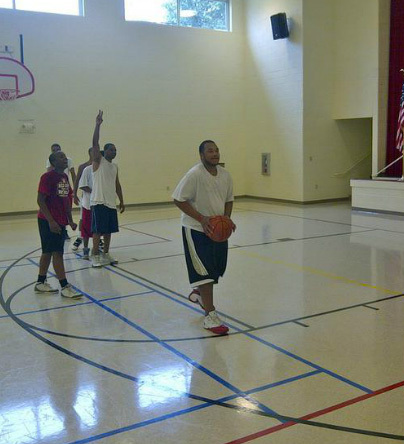 Playing a game of knockout. 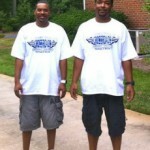 Getting ready to go to the Charlotte Bobcats game. 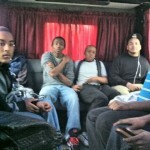 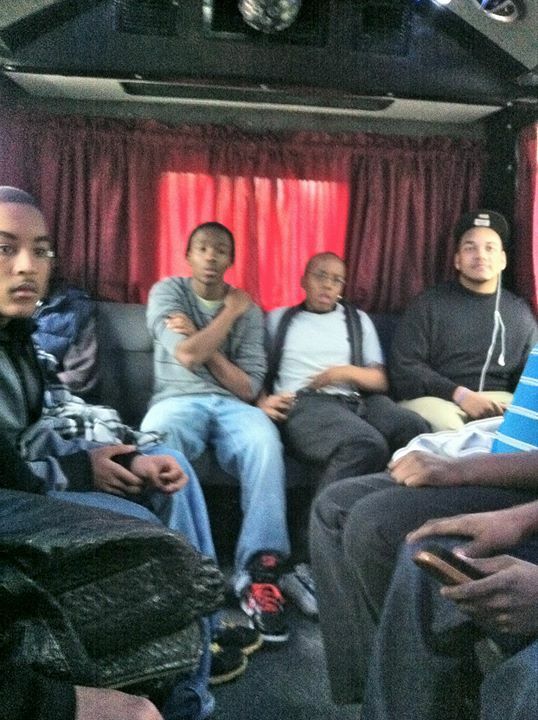 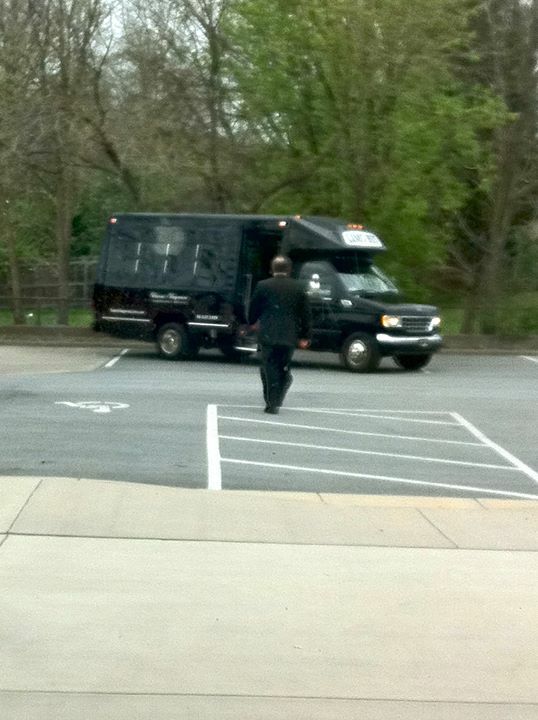 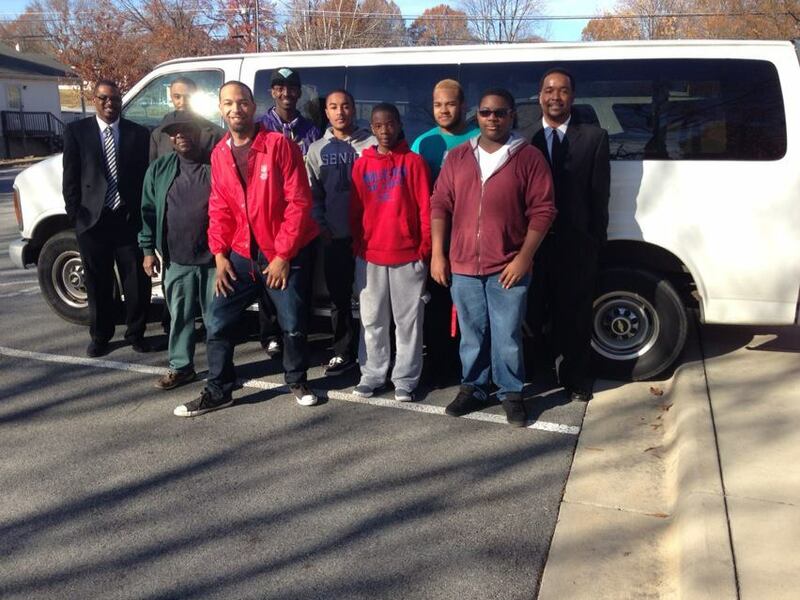 Crossroads Students on their way to Charlotte. 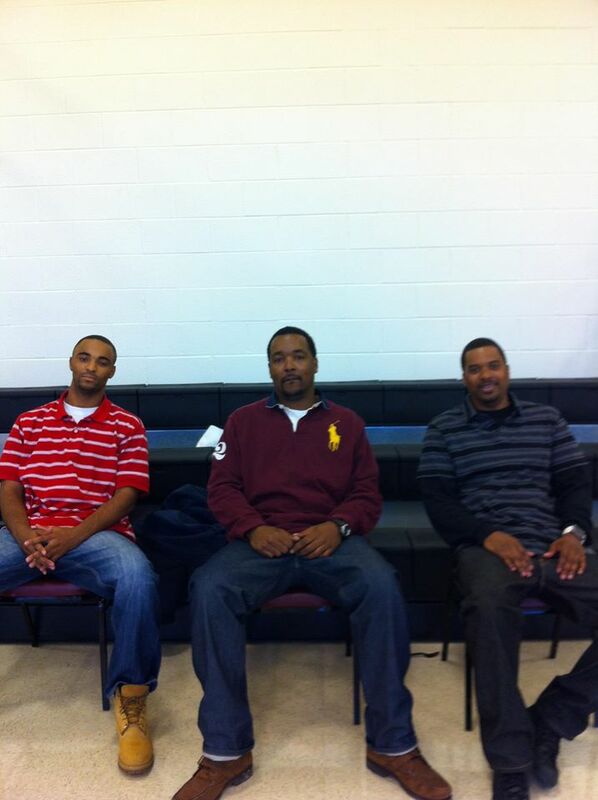 CrossroadsPTS at the Charlotte Bobcats Game. 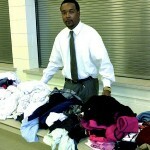 Arturo Mckie at the CrossroadsPTS clothing drive. 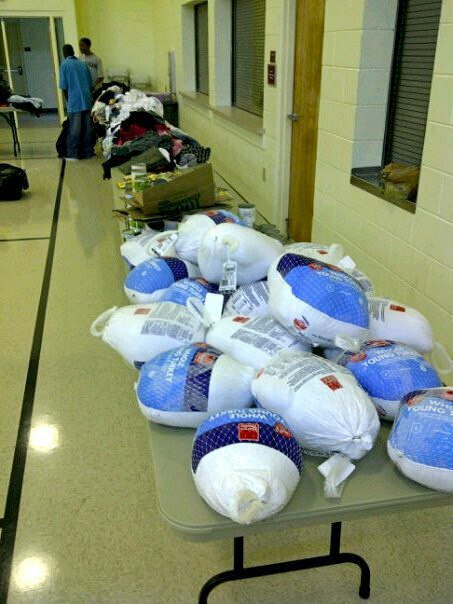 CrossroadsPTS Turkey & Clothing Drive. 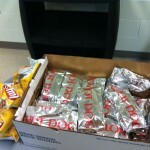 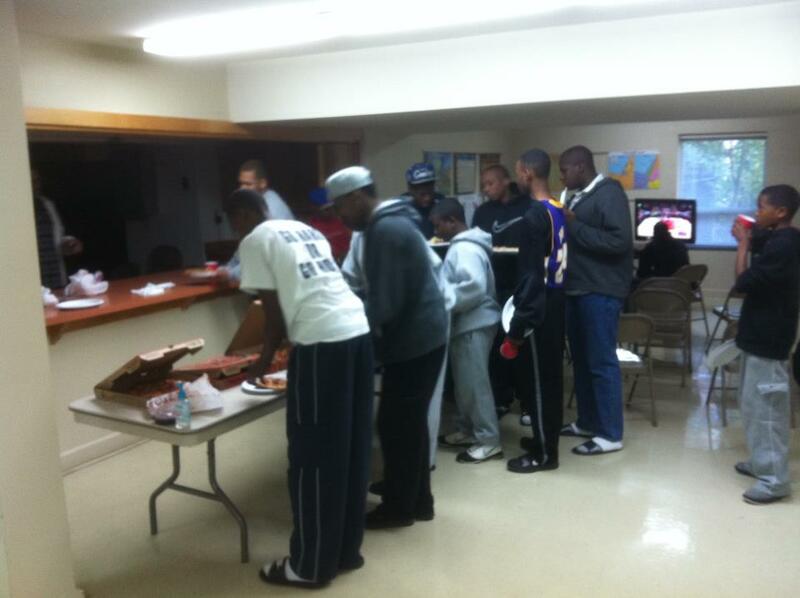 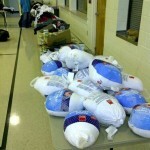 Turkey’s for families of the Greensboro Urban Ministry and Salvation army. 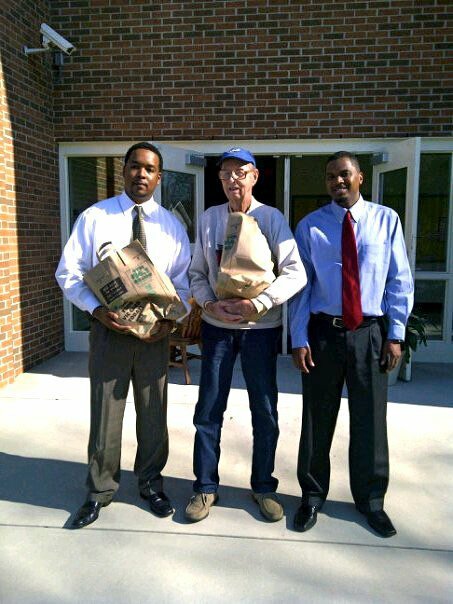 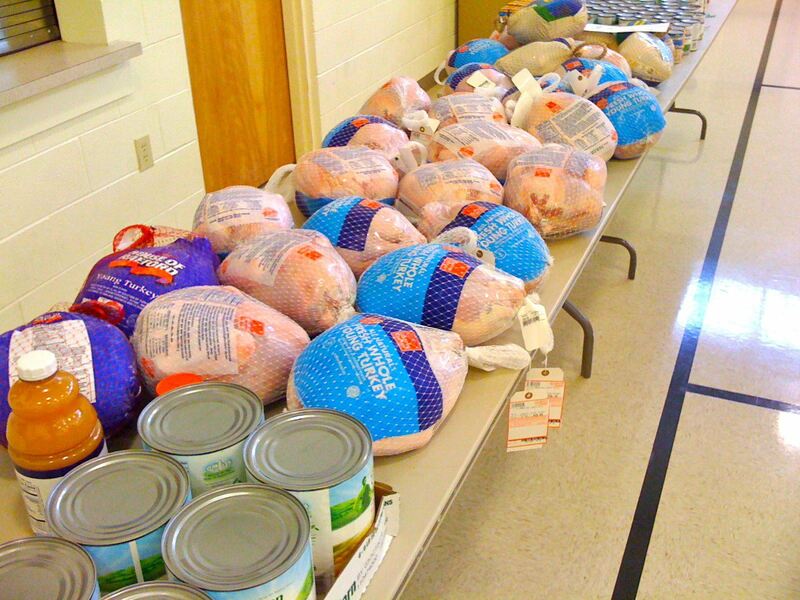 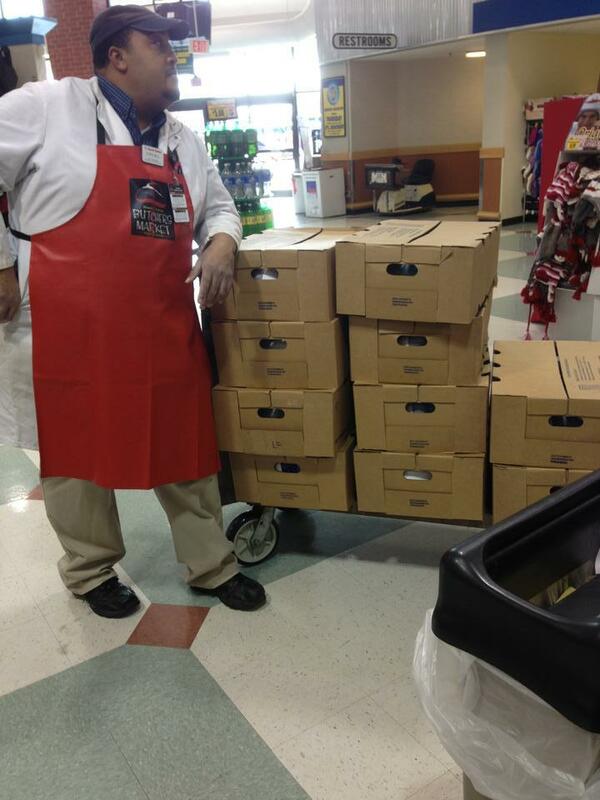 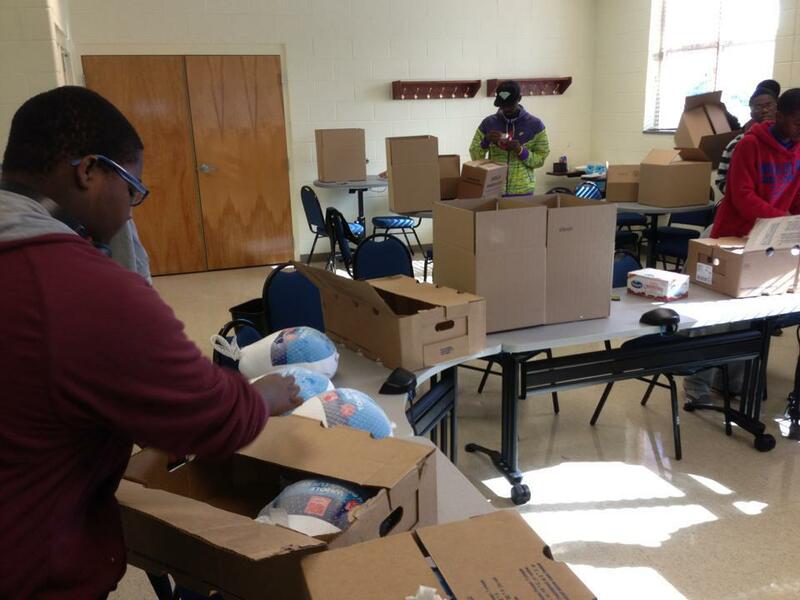 Turkey’s for families of the Greensboro Salvation Army and Greensboro Urban Ministries. 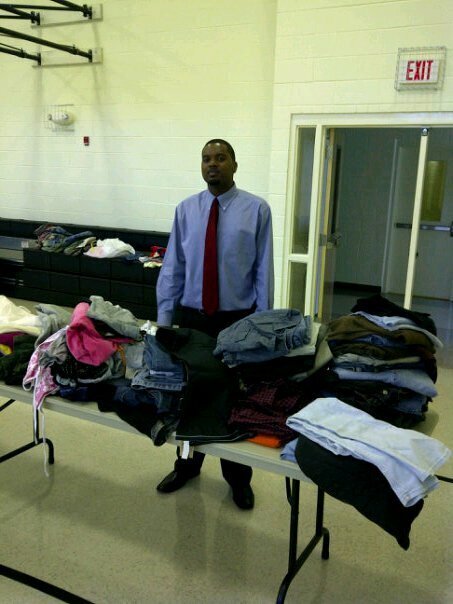 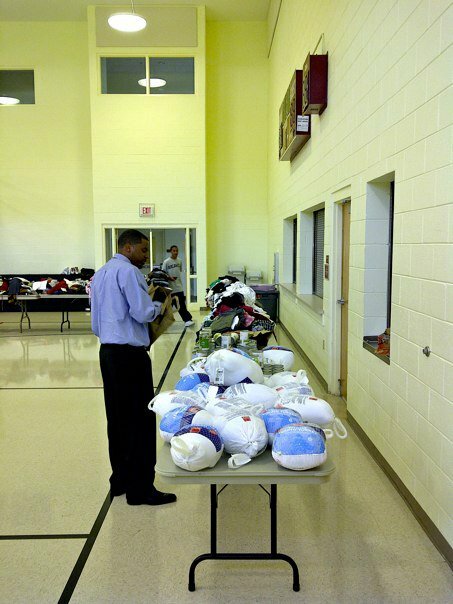 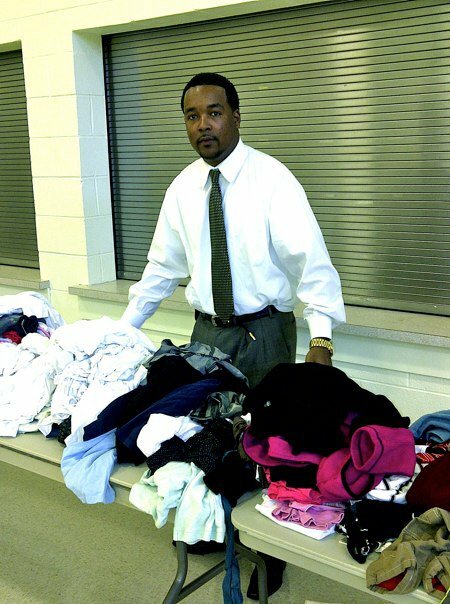 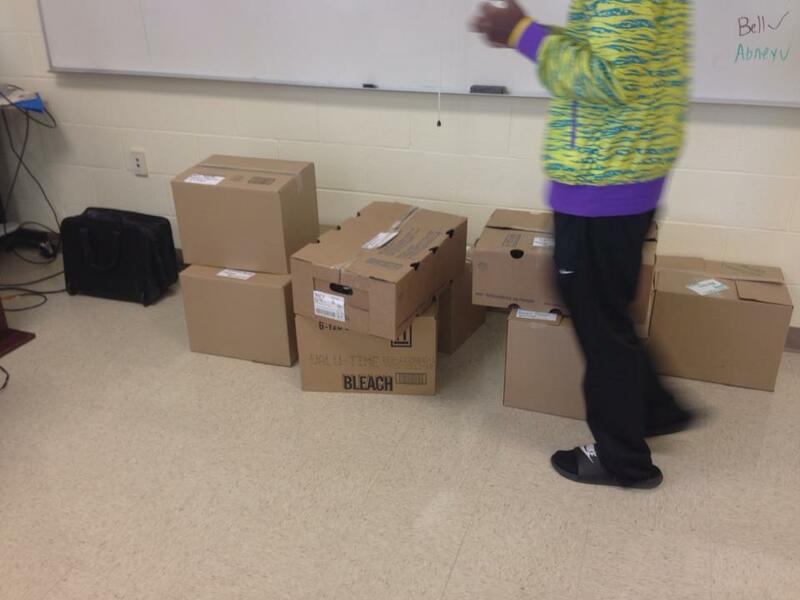 Gerard Truesdale with donated clothes for the CrossroadsPTS turkey and clothing drive. 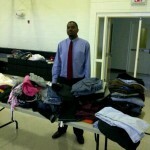 Arturo Mckie with donated clothes for the CrossroadsPTS clothing and turkey drive. 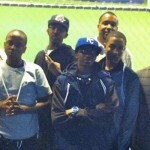 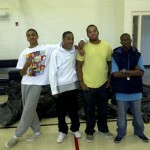 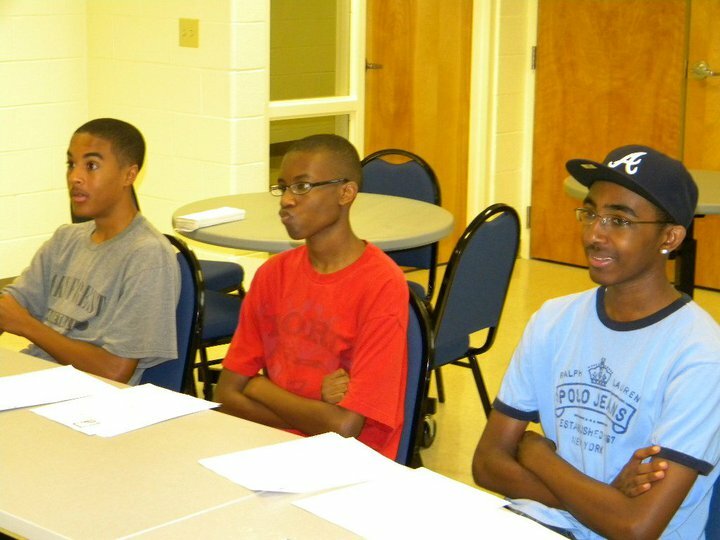 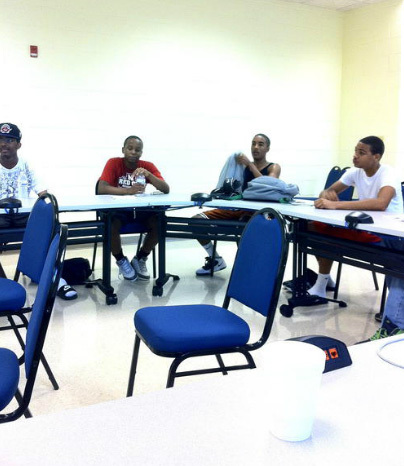 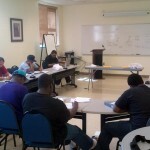 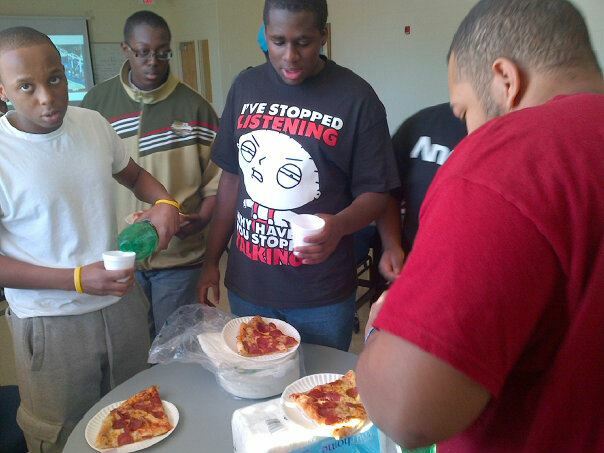 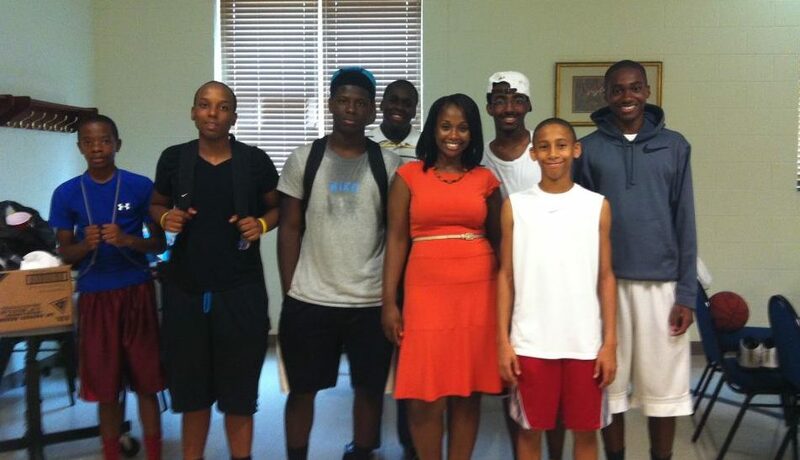 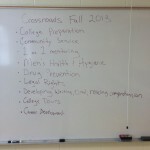 Some of the CrossroadsPTS students. 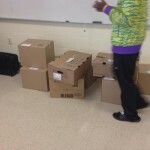 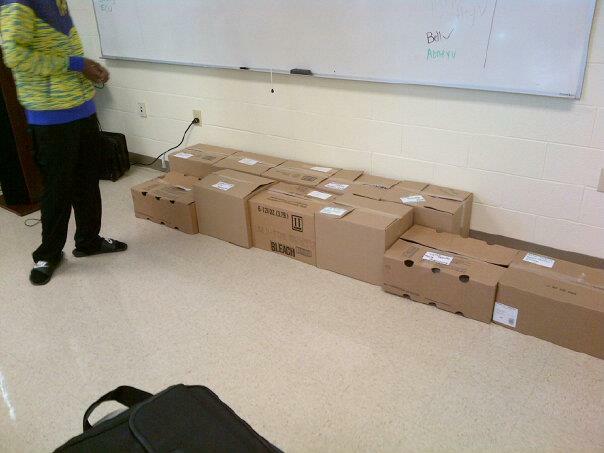 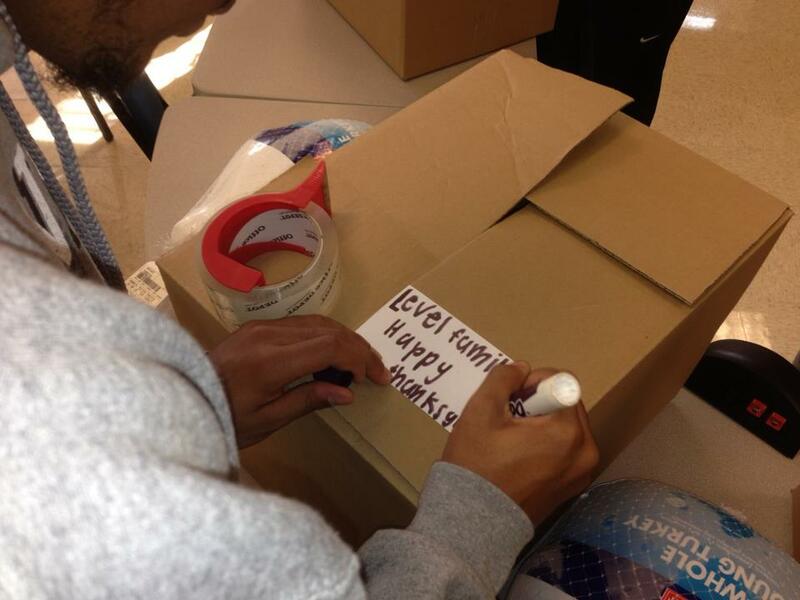 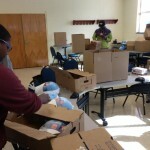 Students unpacking food that went to families in need for Thanksgiving. 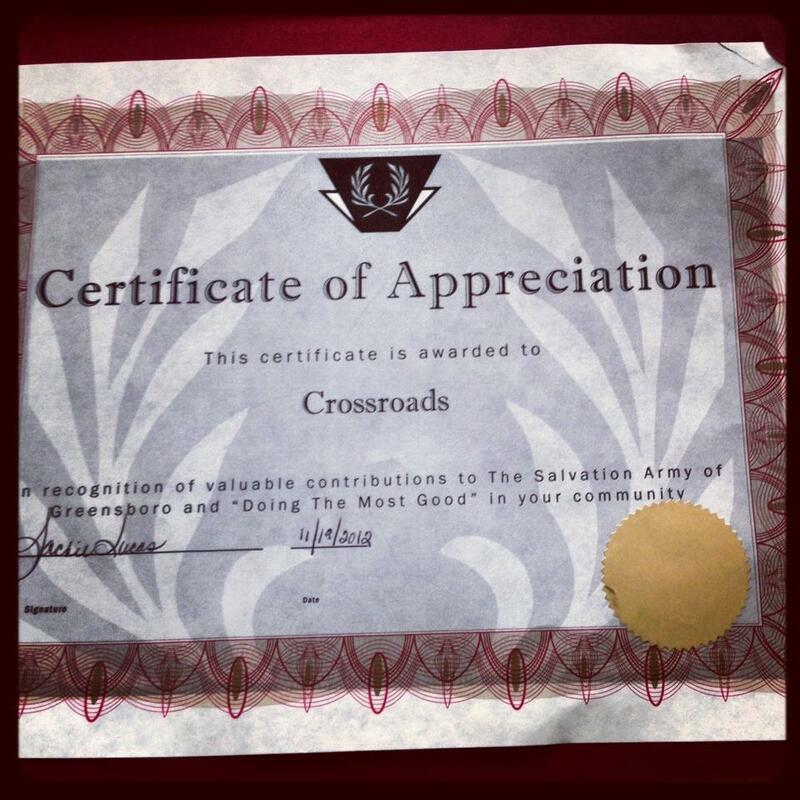 Certificate of Appreciation from the Greensboro Salvation Army. 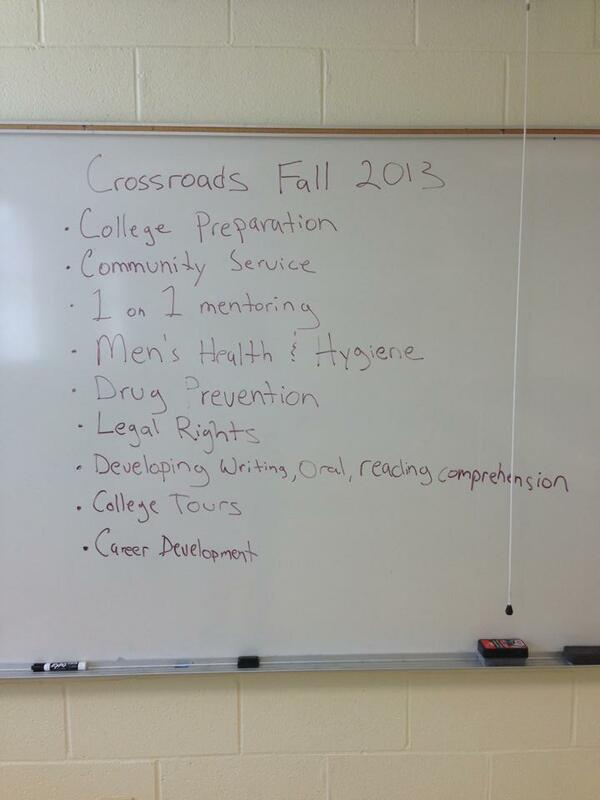 Crossroads goals for the Fall 2013. 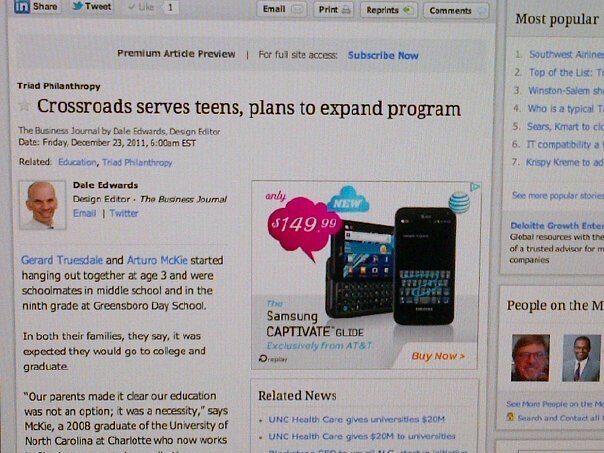 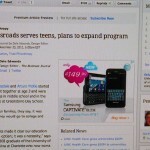 Crossroads article on the internet. 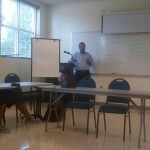 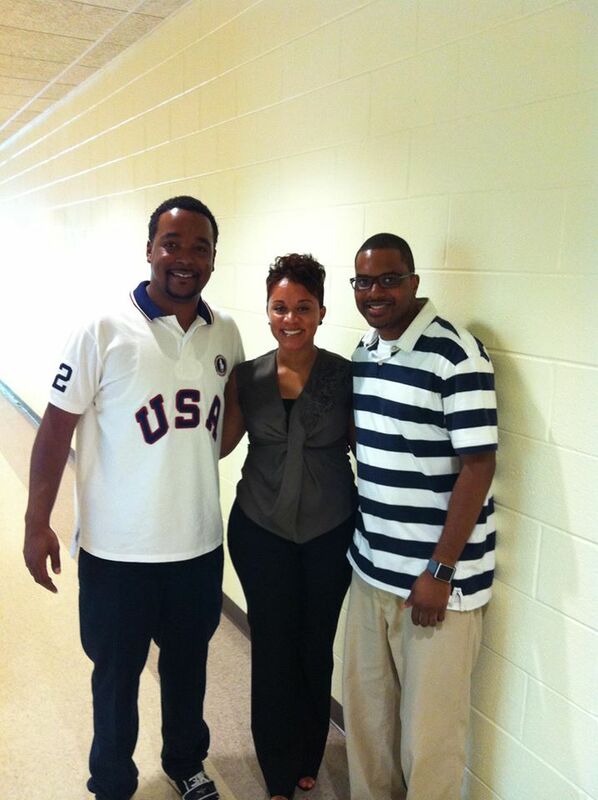 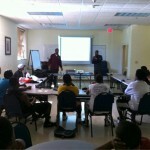 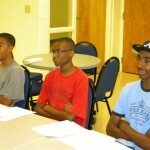 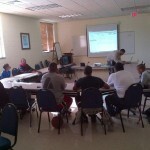 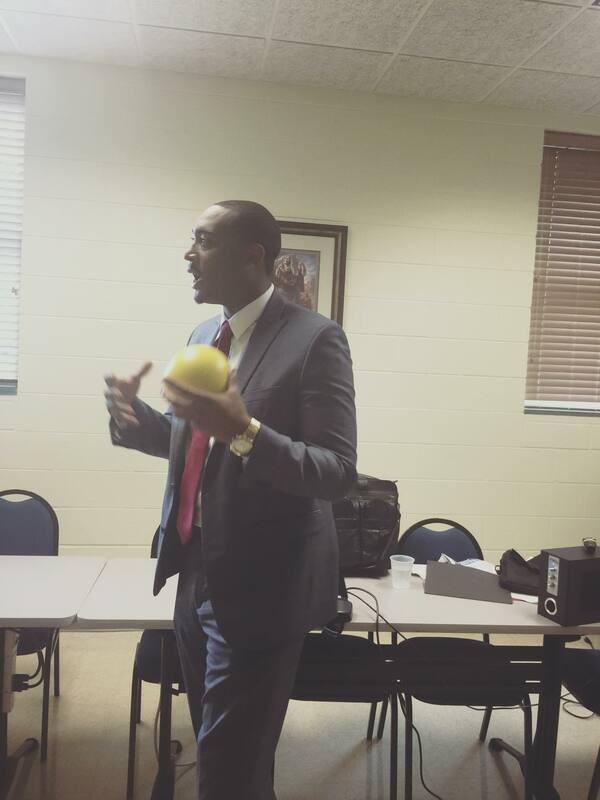 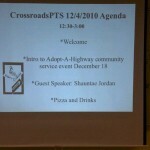 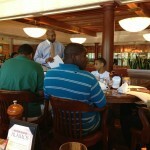 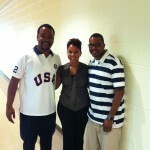 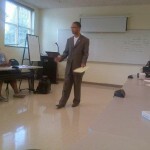 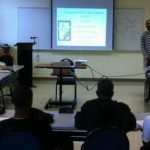 CrossroadsPTS guest speaker Attorney Crishon Jordan. 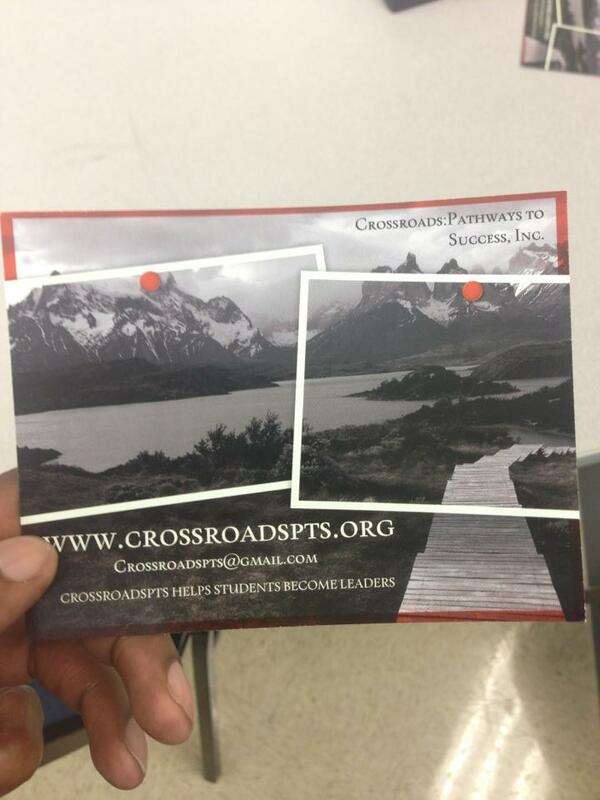 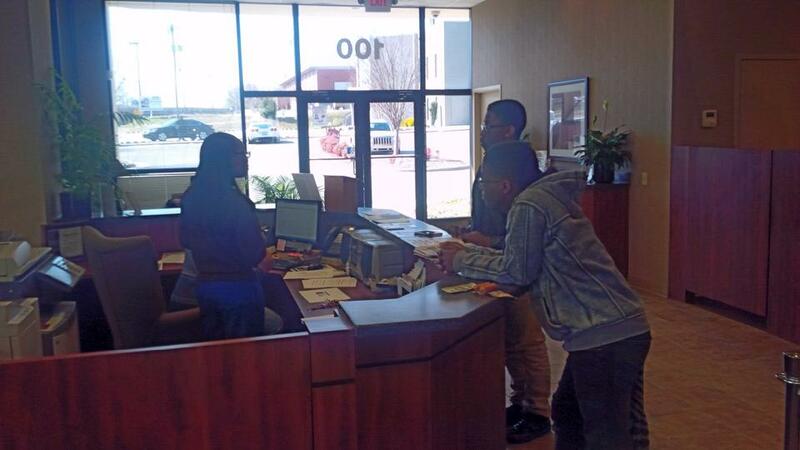 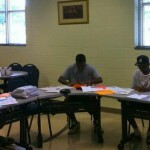 CrossroadsPTS opening students bank accounts. 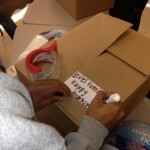 CrossroadsPTS students building goody boxes for familiesin need. 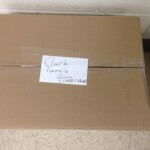 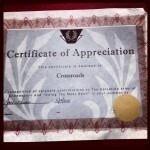 CrossroadsPTS box of food to a family in need. CrossroadsPTS delivering boxes of food to families in need. Dr.Gerald Truesdale speaking to the students. 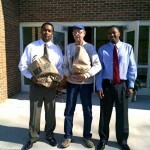 Getting ready to deliver food to families in need. 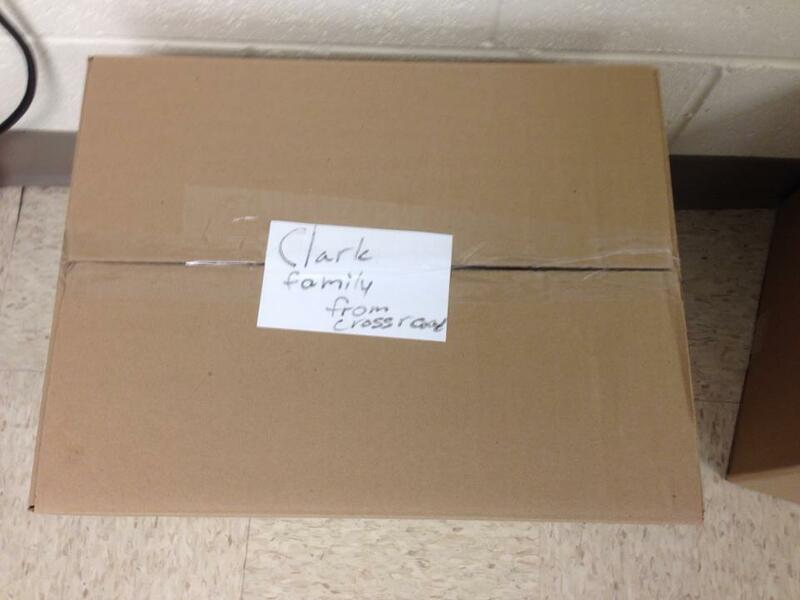 Boxes to families in need. 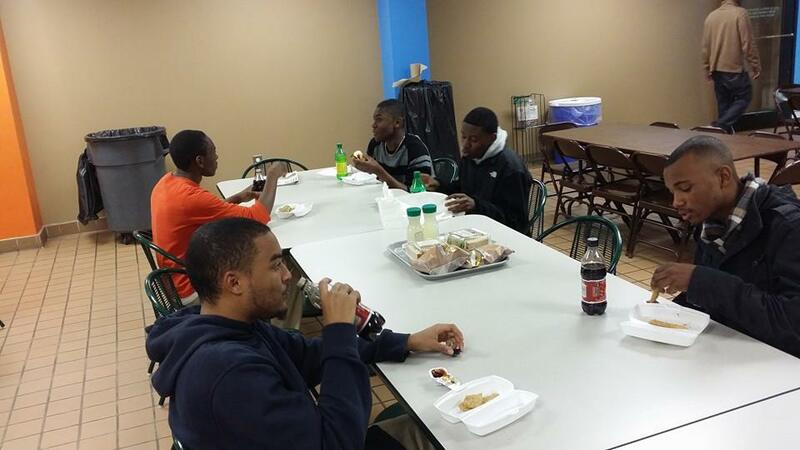 Students having lunch at the Natural Science Center. 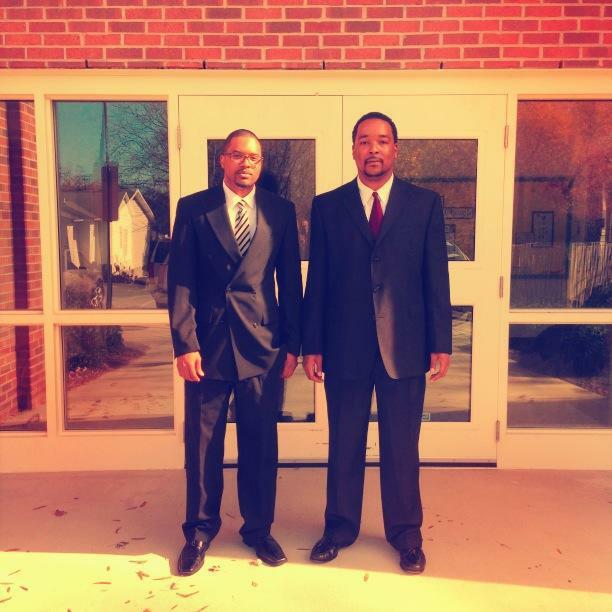 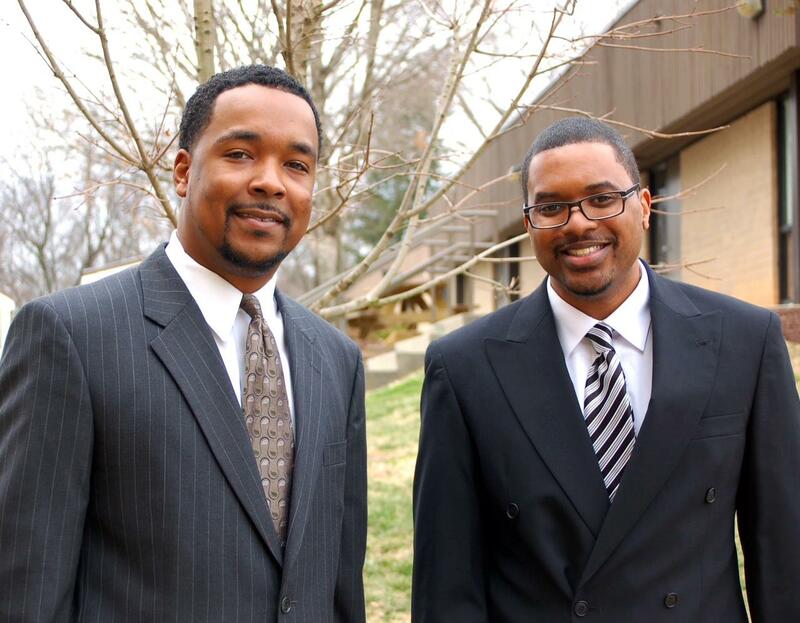 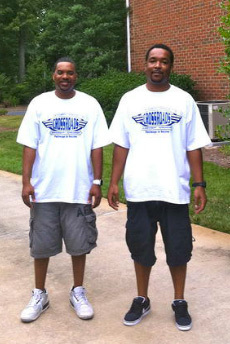 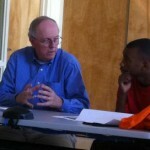 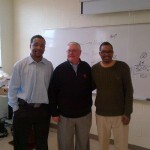 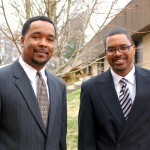 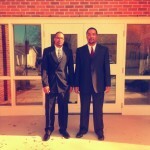 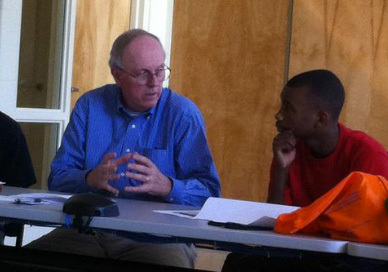 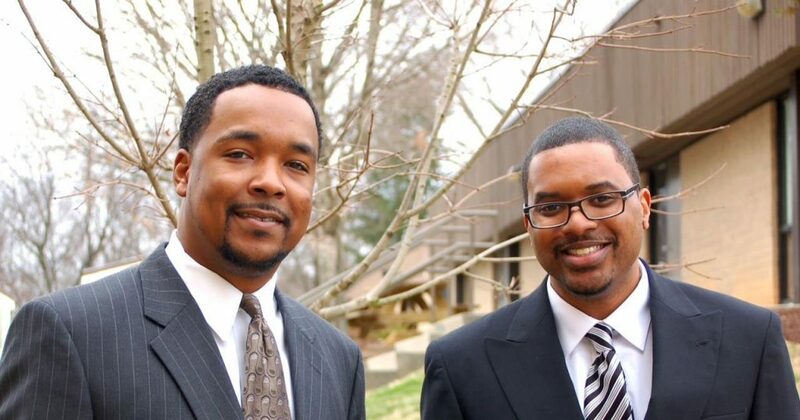 Founders of CrossroadsPTS, Arturo Mckie and Gerard Truesdale. 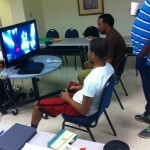 Crossroads students having a good time. 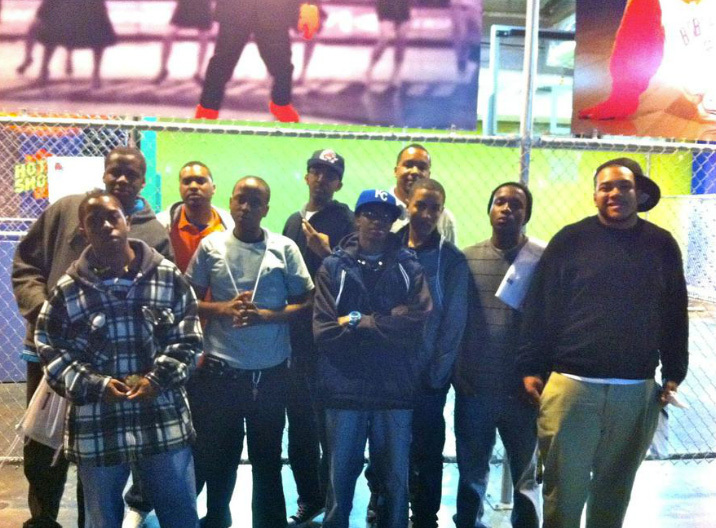 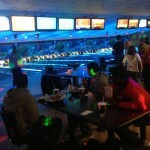 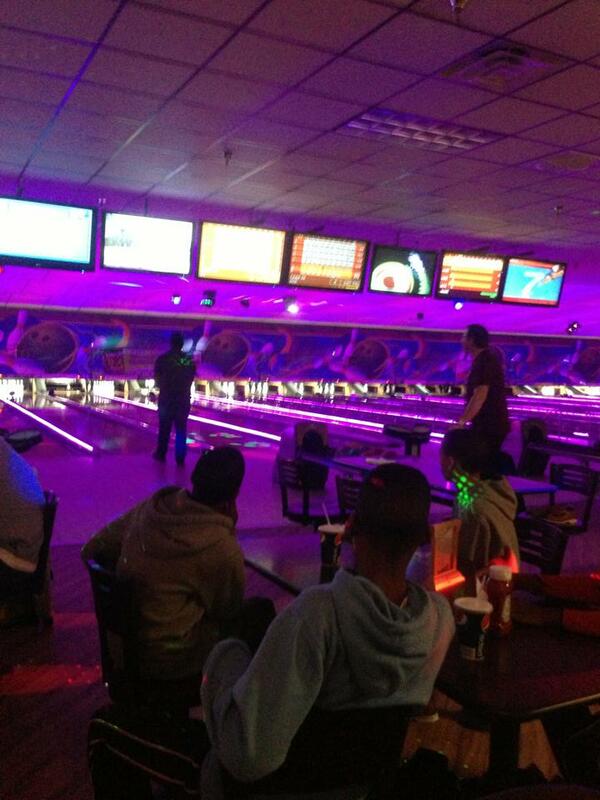 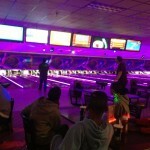 CrossroadsPTS students at Spare Time bowling alley. 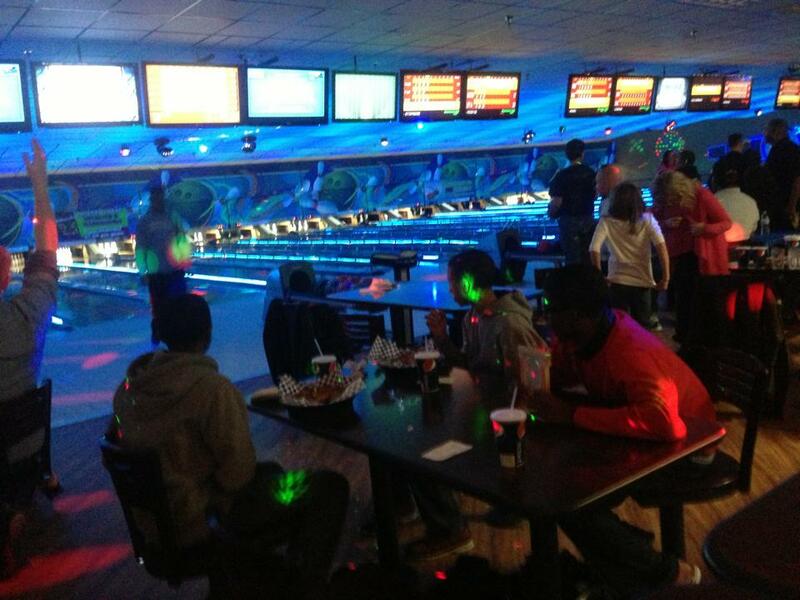 Crossroads students at Spare Time bowling alley. 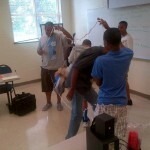 Playing ice breaker with the students. 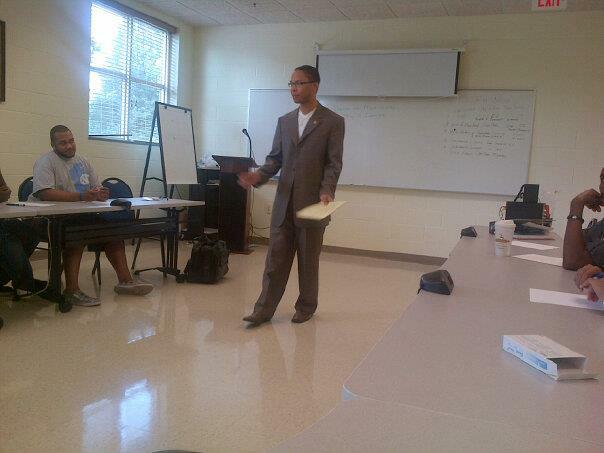 Guest speaker from Winston Salem Statute University, Forrest Foster. 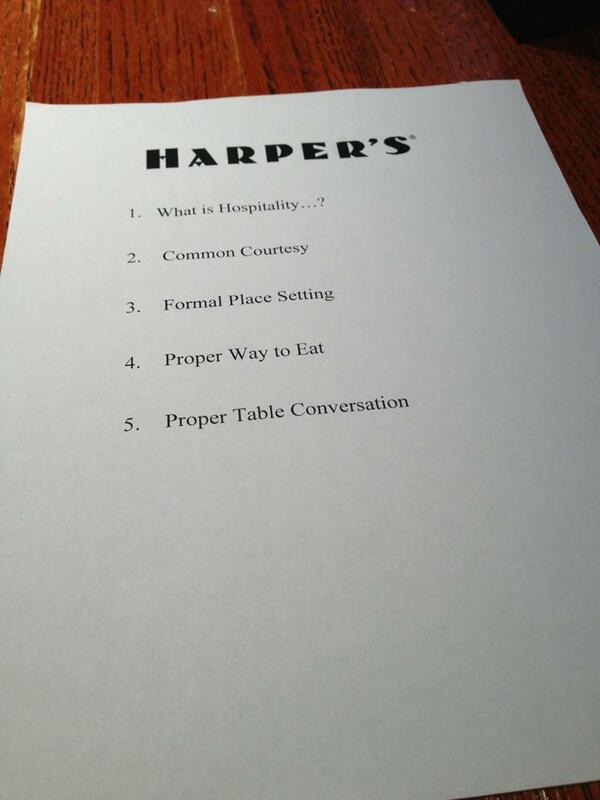 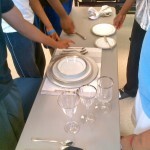 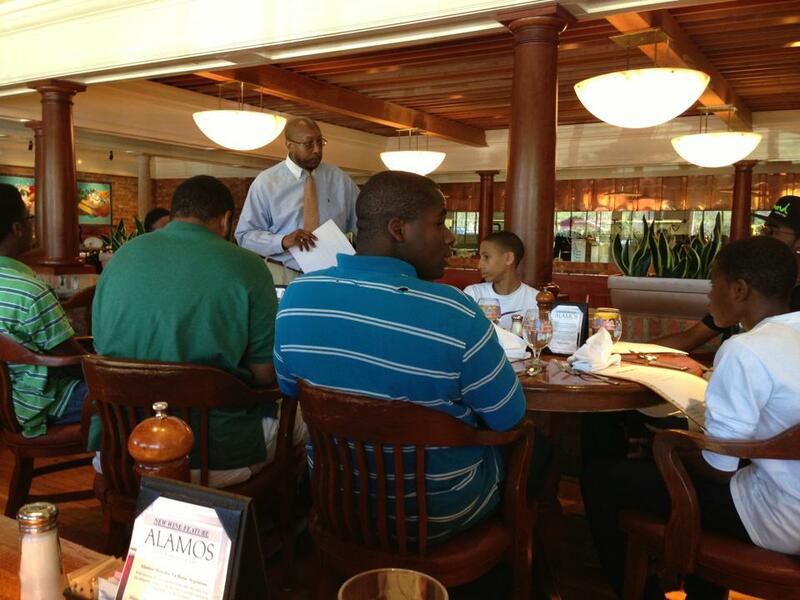 Etiquette workshop at Harper’s Restaurant. 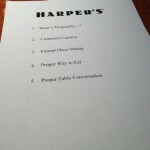 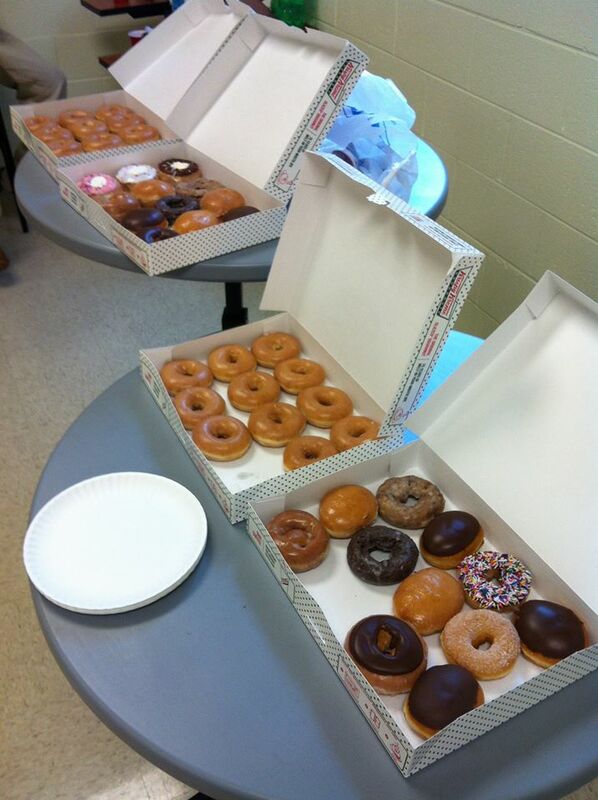 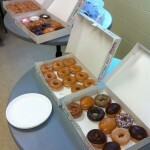 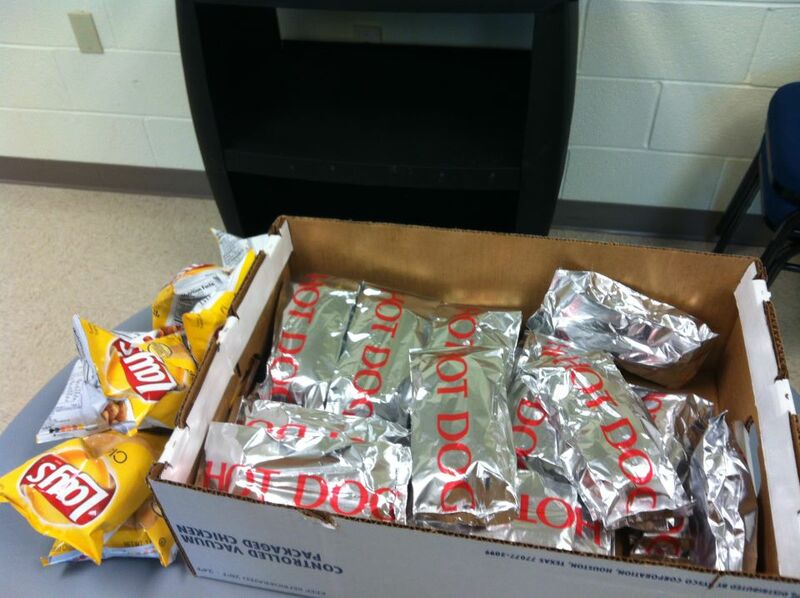 Harper’s Menu for the students of CrossroadsPTS. 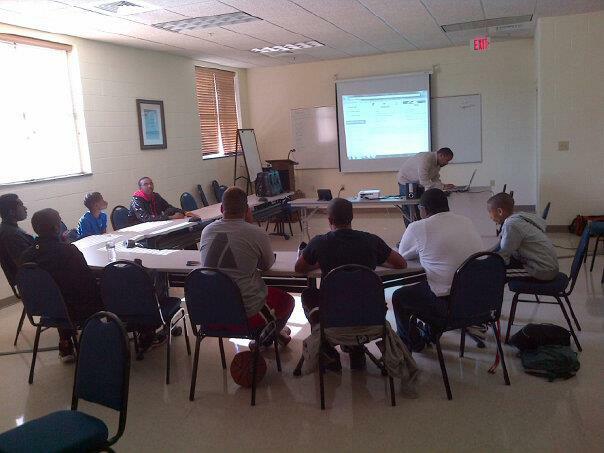 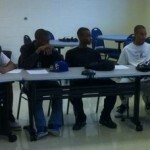 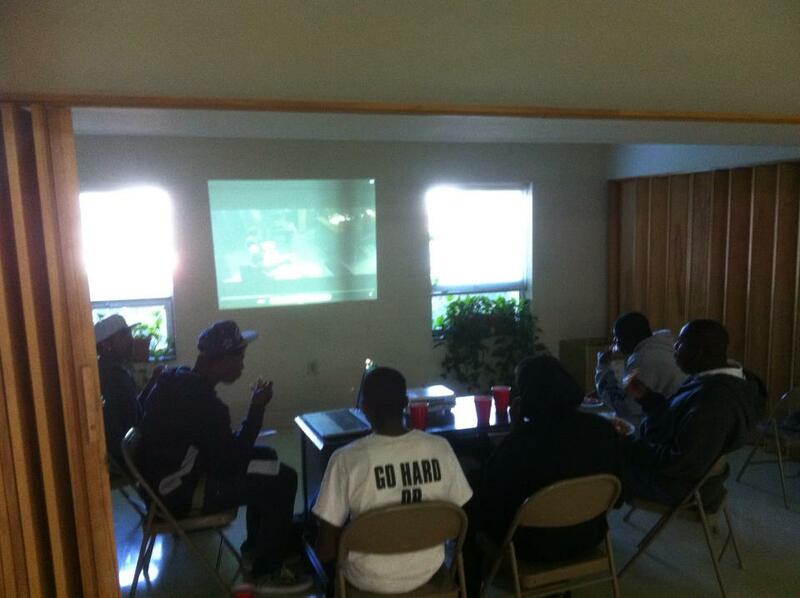 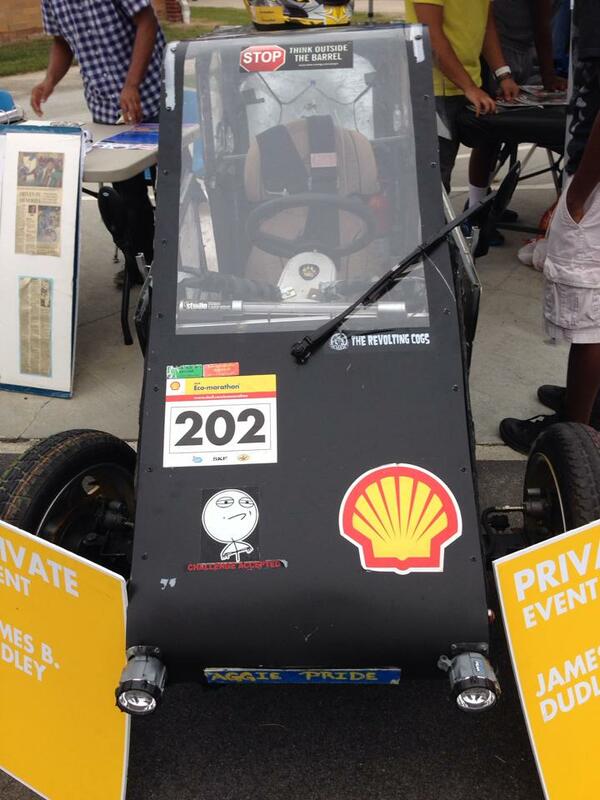 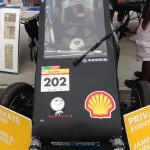 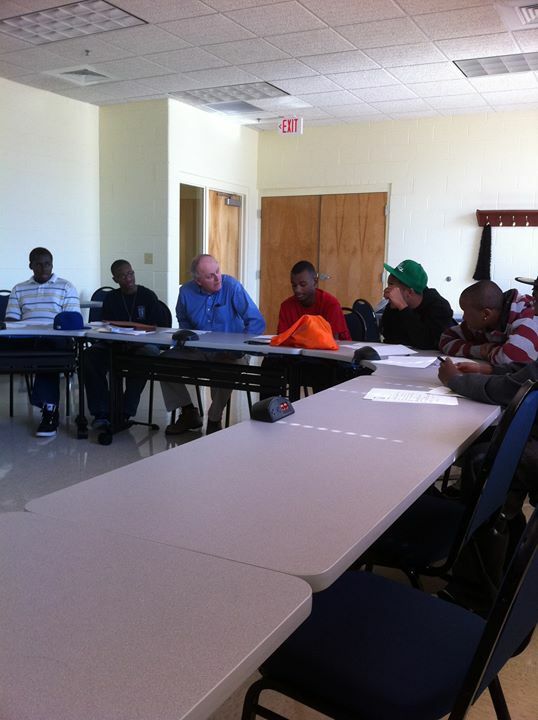 CrossroadsPTS students at a NASCAR workshop. 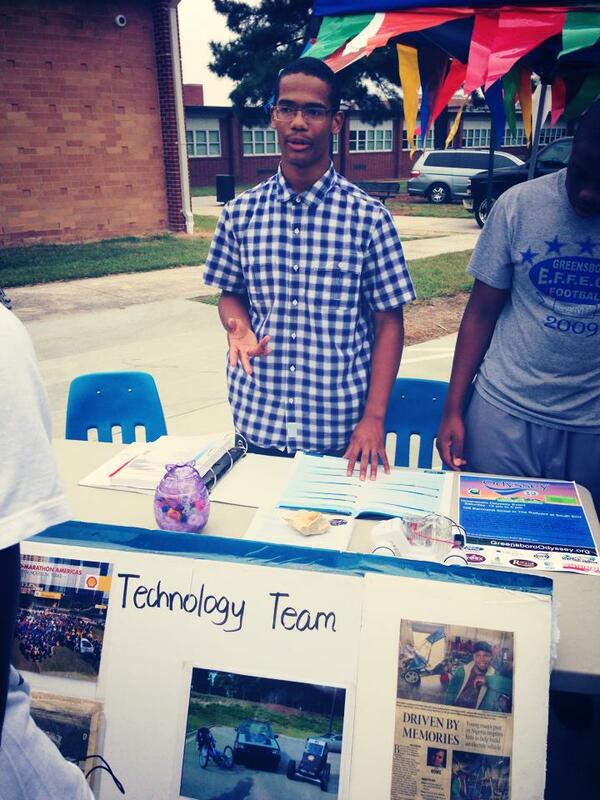 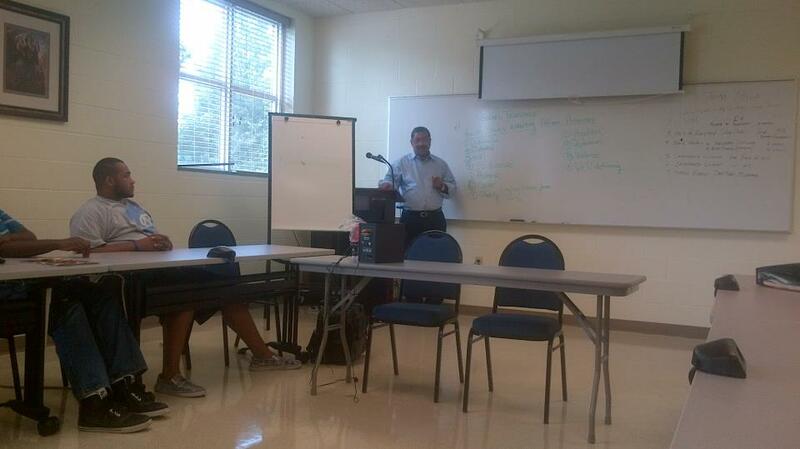 CrossroadsPTS at the Guilford County Nascar workshop. 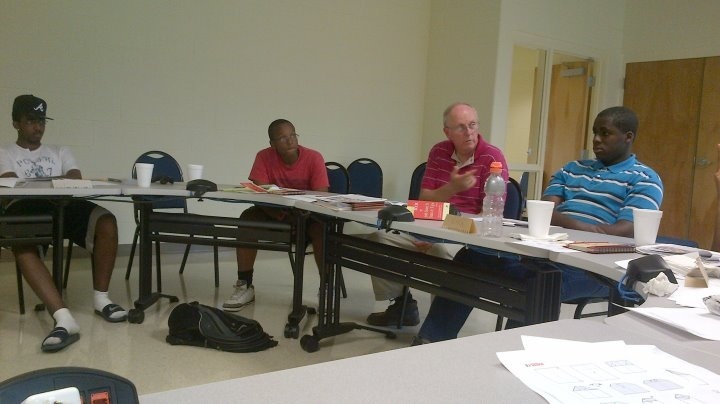 CrossroadsPTS founders with Sam Bass. 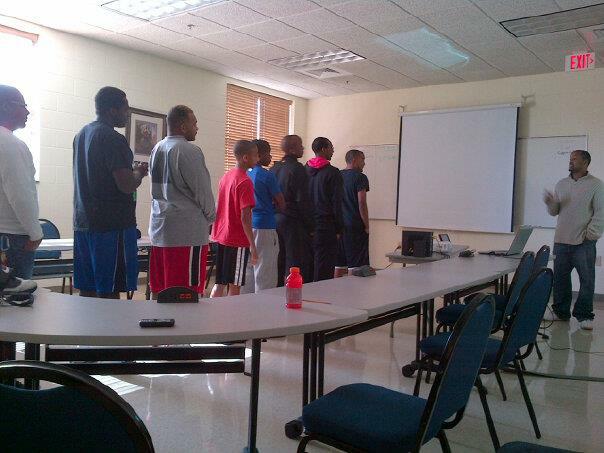 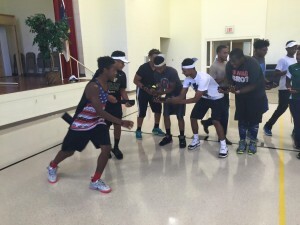 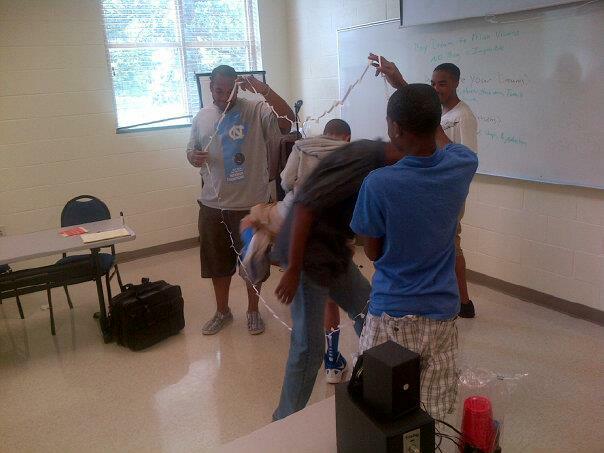 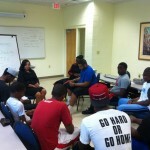 Crossroads Students enjoying a workshop. 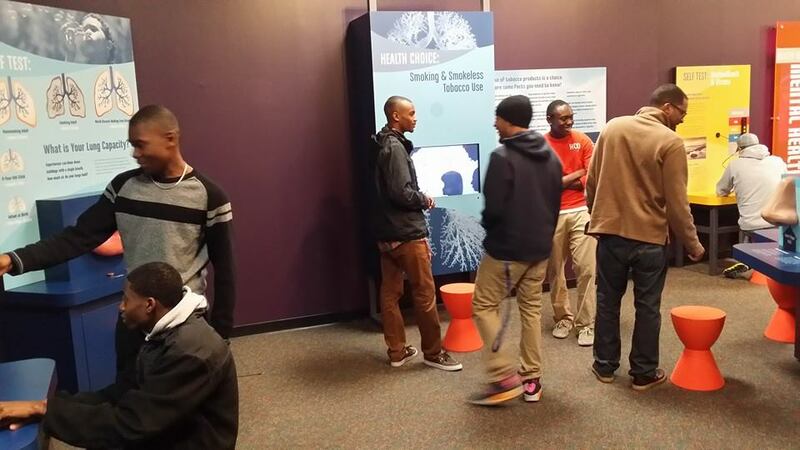 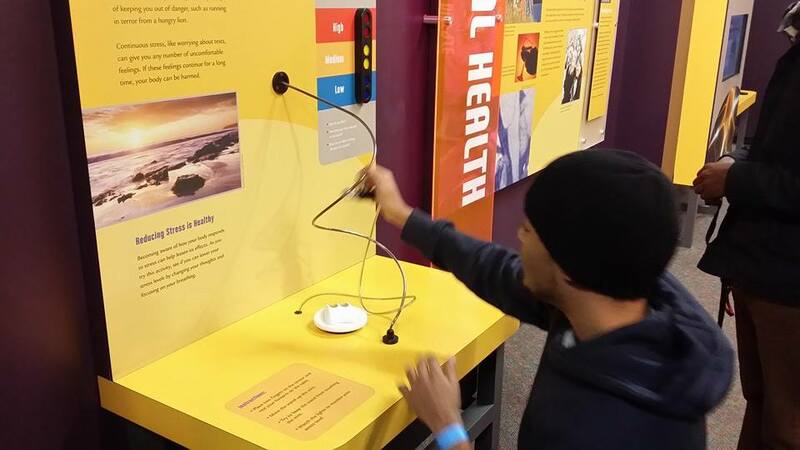 CrossroadsPTS at the Greensboro Natural Science Center. 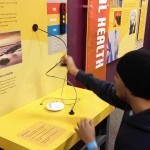 Crossroads visiting the Natural Science Center. 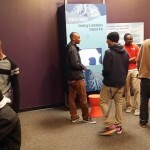 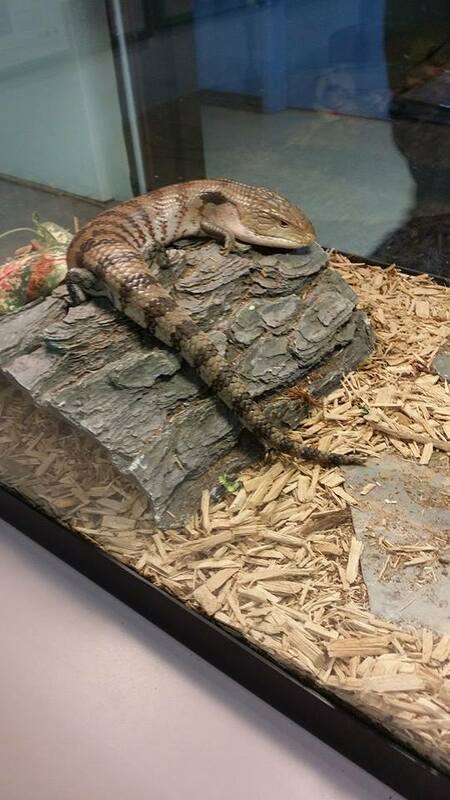 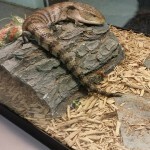 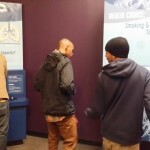 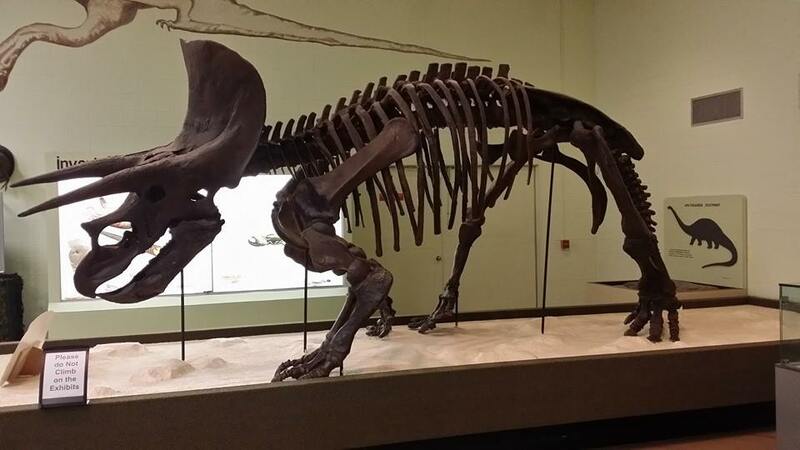 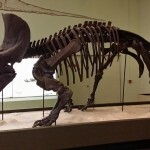 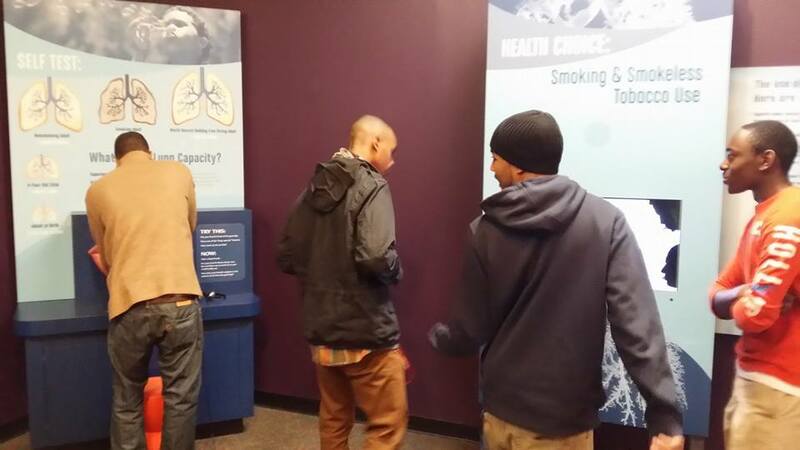 CrossroadsPTS visiting the Greensboro Natural Science Center. 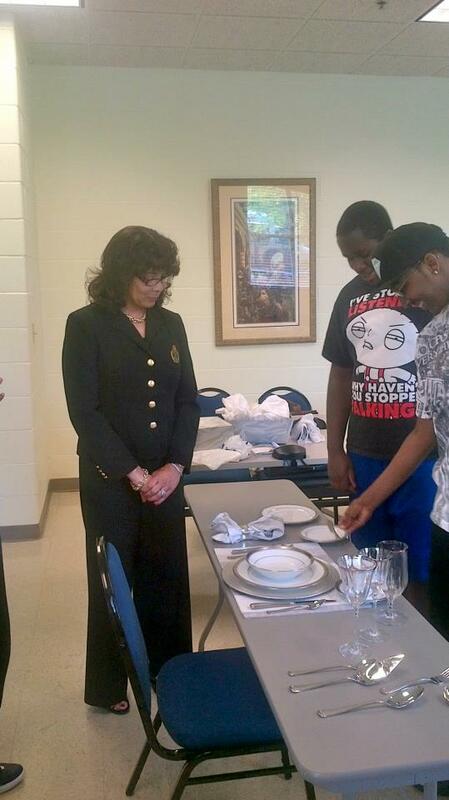 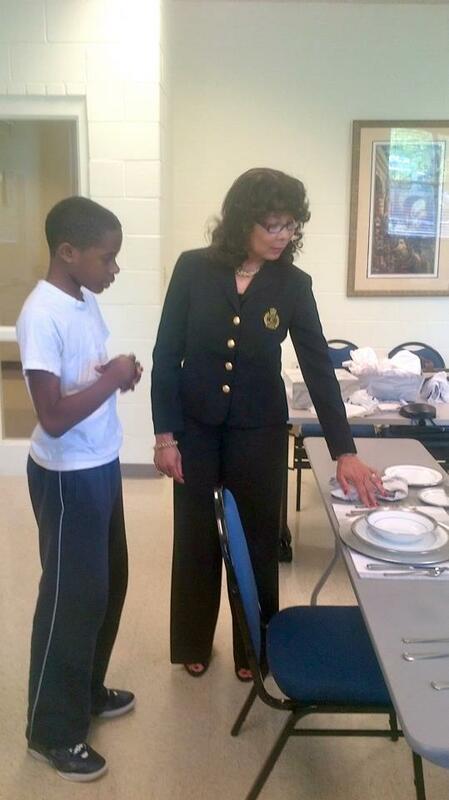 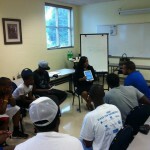 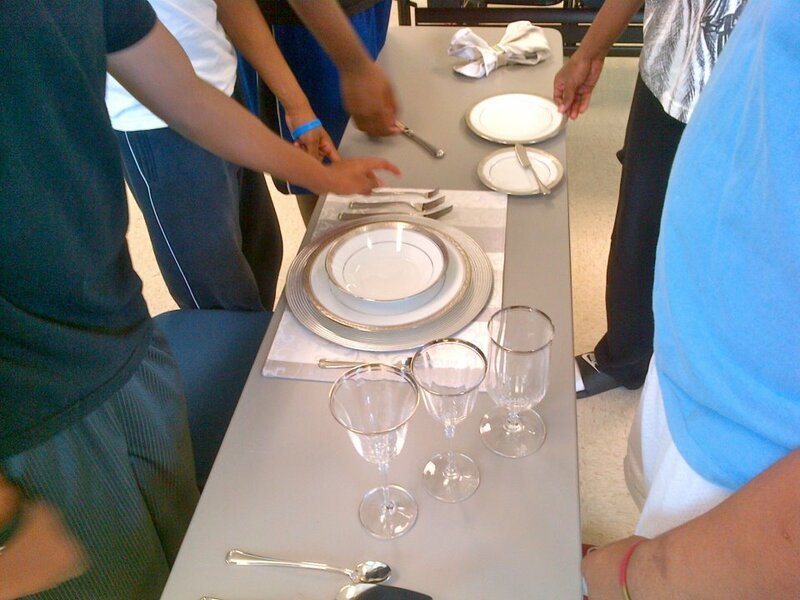 Dr. Althea Truesdale giving the students an etiquette workshop. 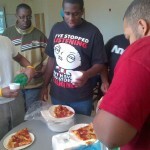 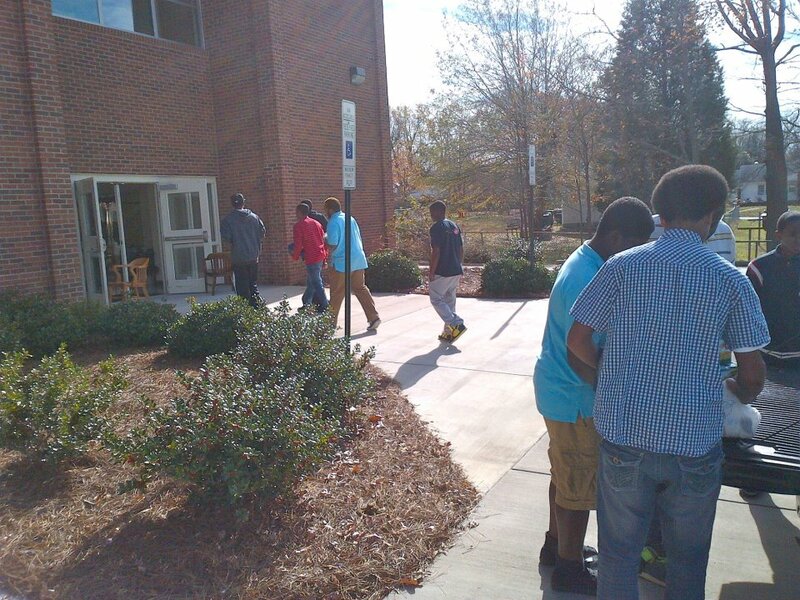 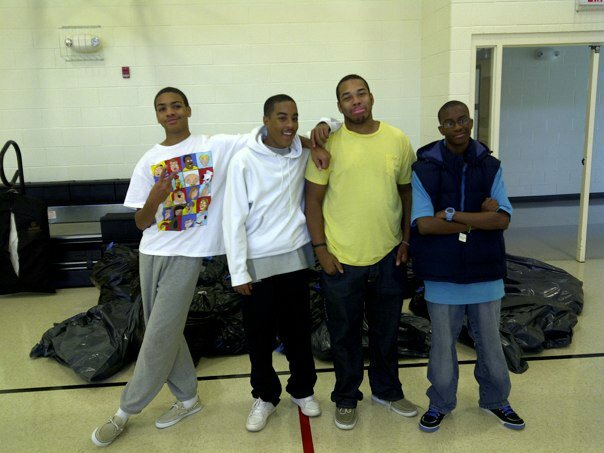 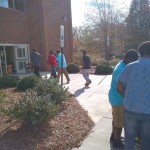 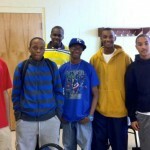 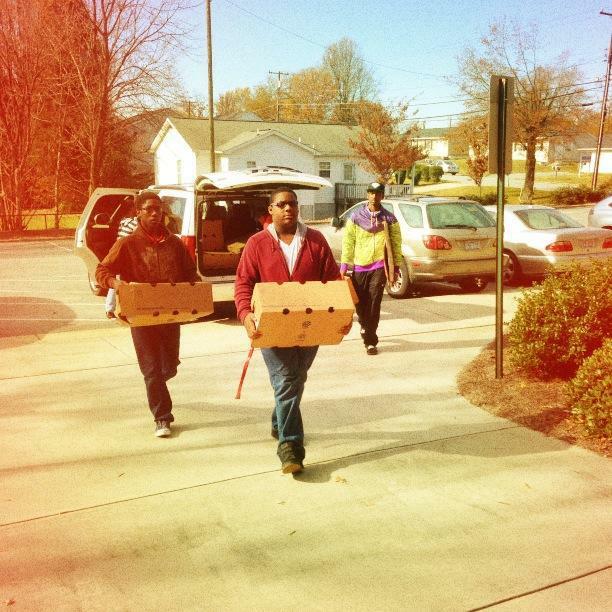 CrossroadsPTS students delivering boxes of food to the Greensboro Urban Ministries. 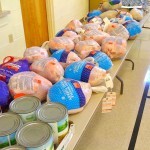 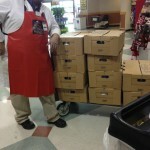 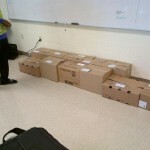 CrossroadsPTS purchasing turkeys for families in need. 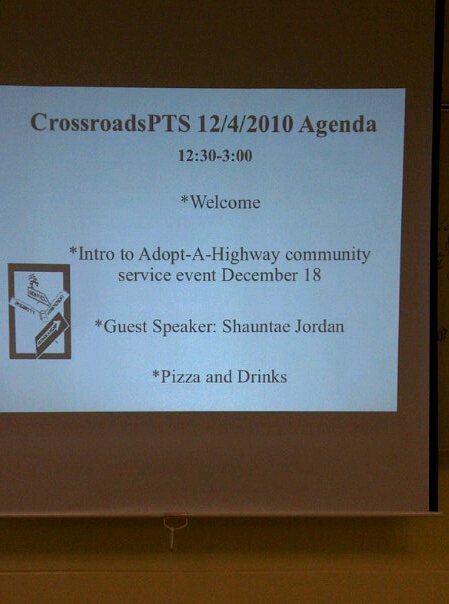 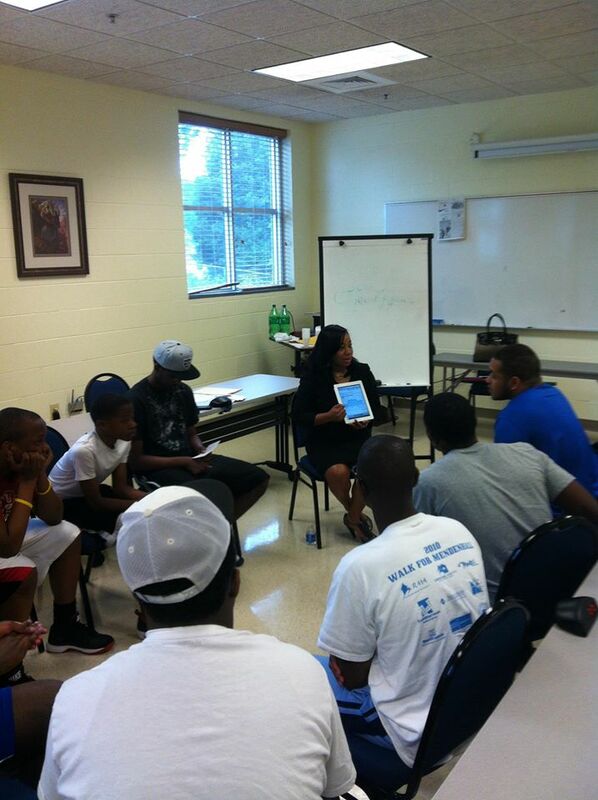 Guest Speaker Tracey McCain speaking to the students of CrossroadsPTS. 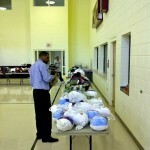 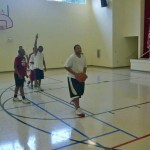 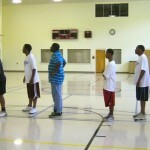 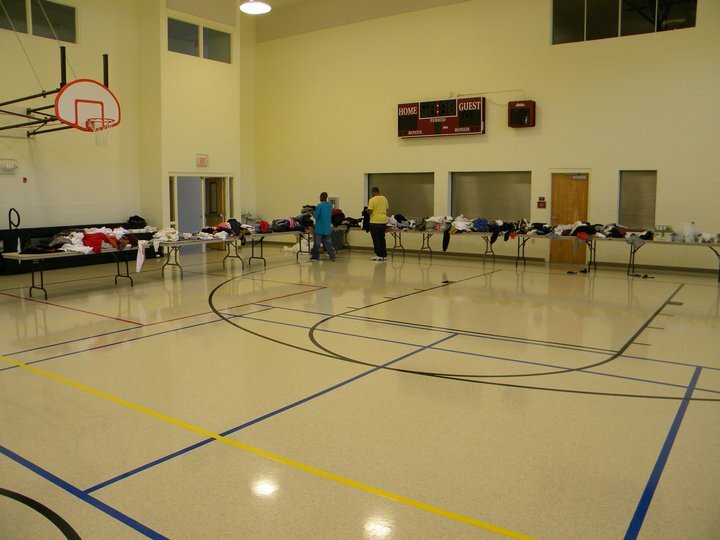 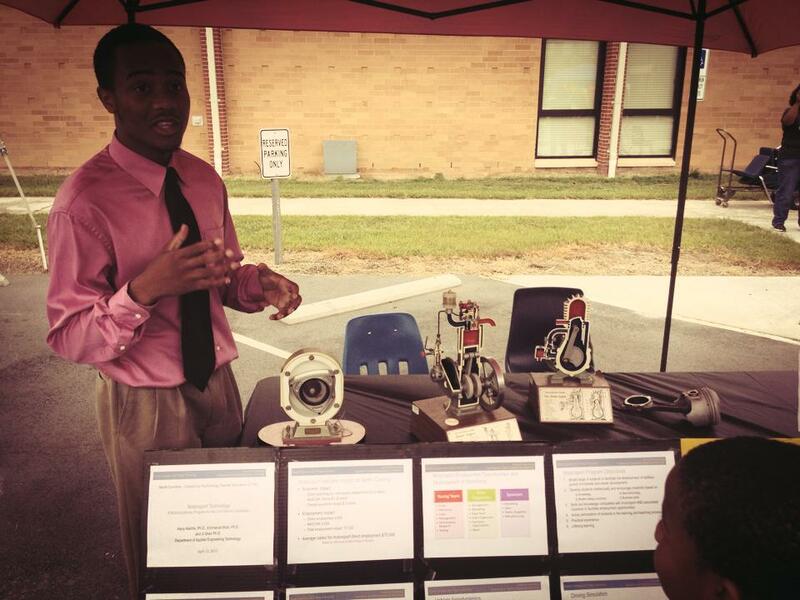 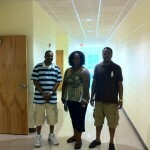 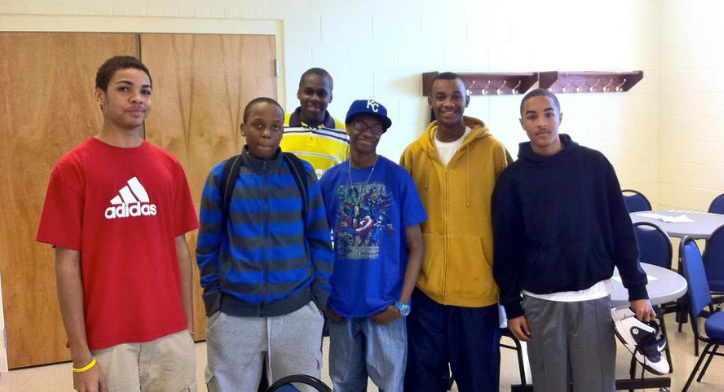 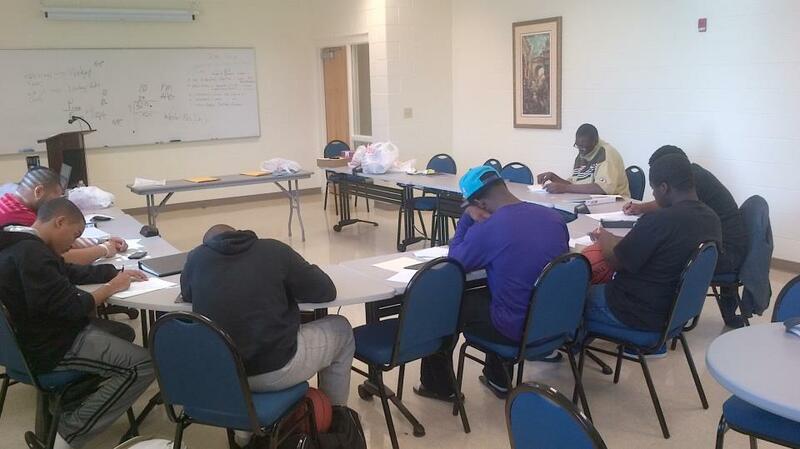 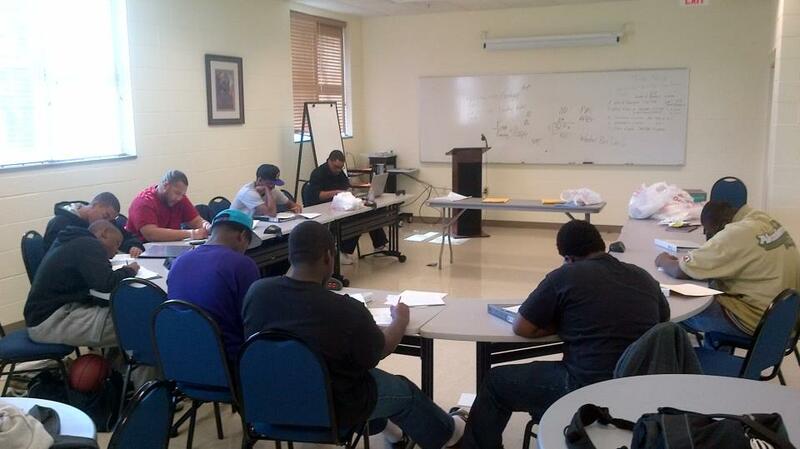 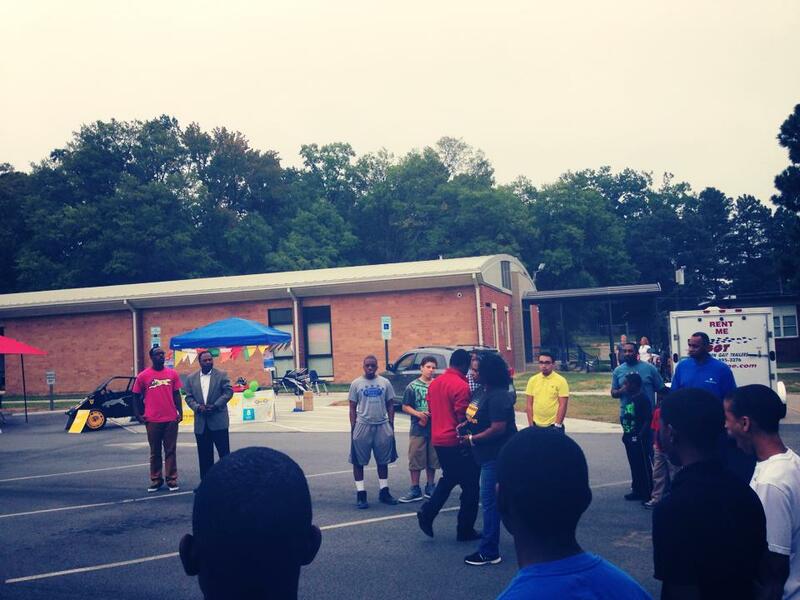 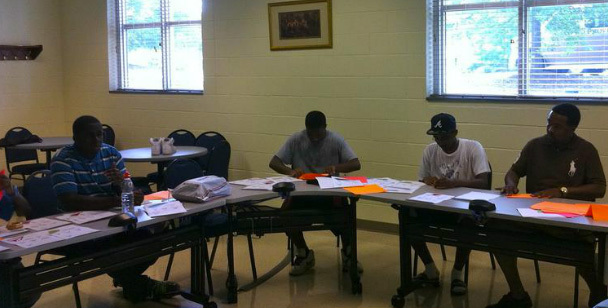 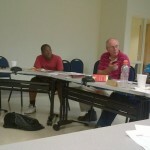 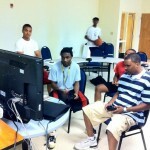 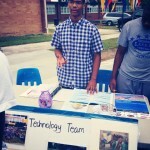 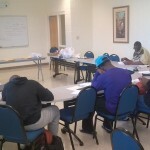 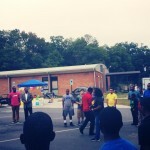 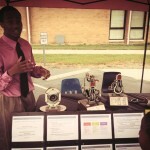 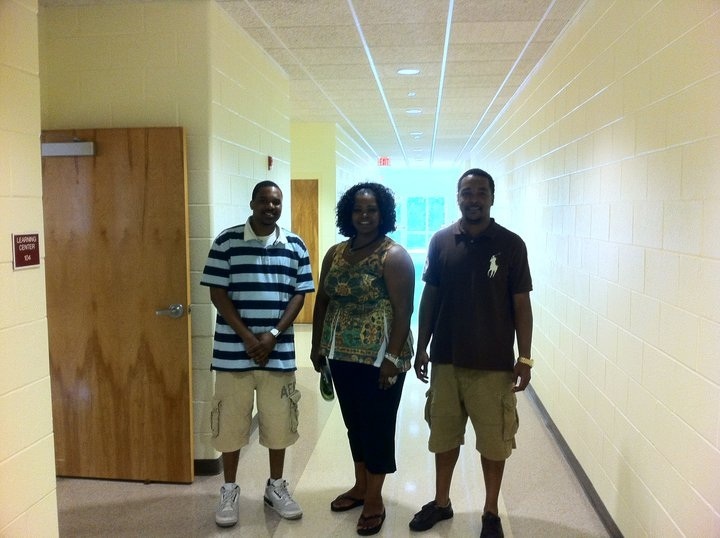 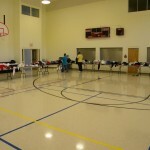 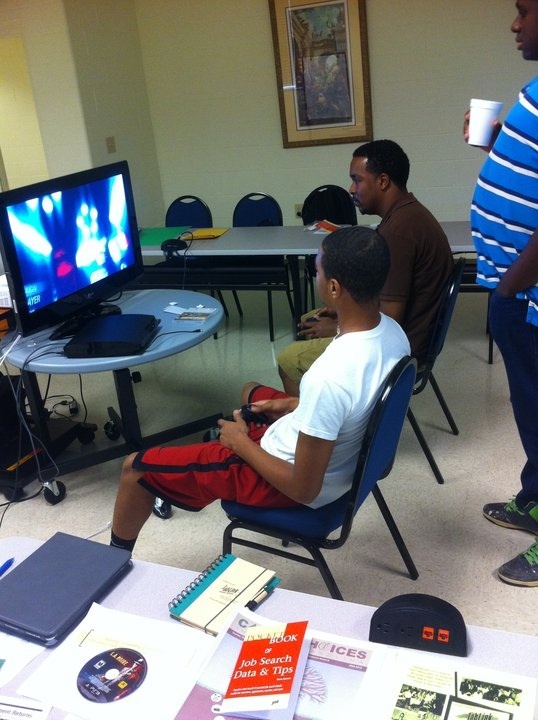 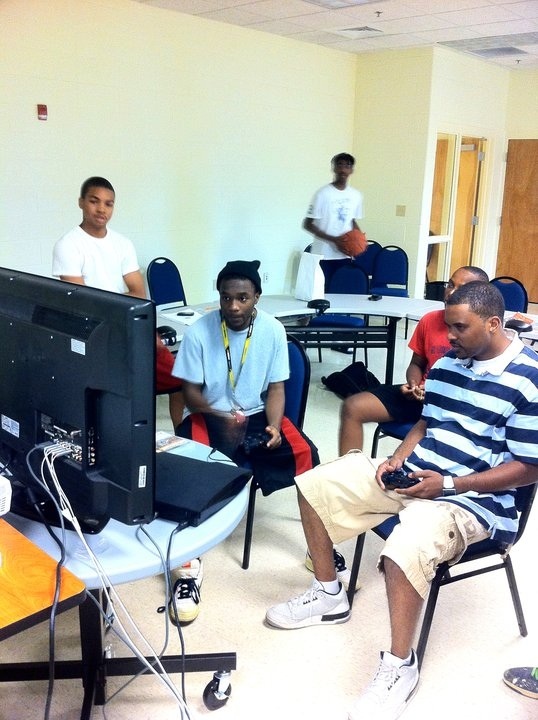 CrossroadsPTS & The Greensboro Salvation Army. 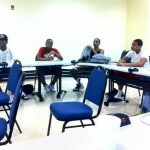 Factors that influence Social Networking use. 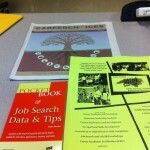 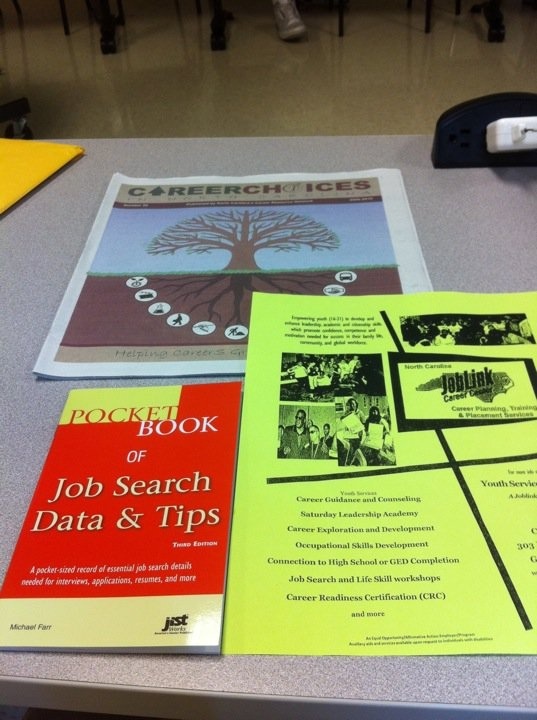 Tips for succeeding in high school.